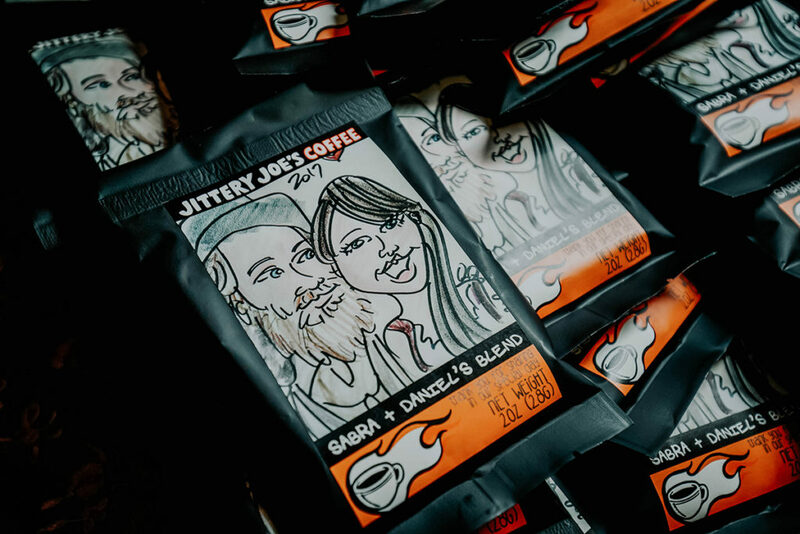 Sabra & Daniel met at Starbucks. 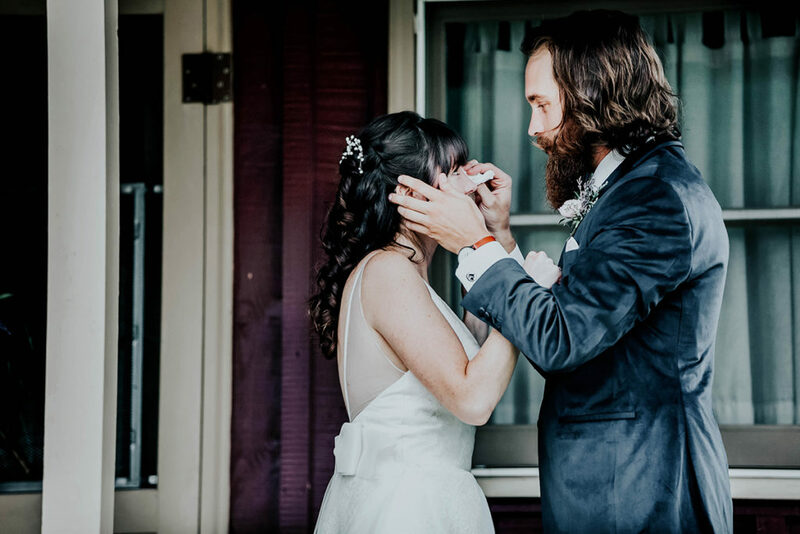 While Sabra was working there throughout college years, she started noticing this regular customer coming in, and thought – he’s kind of cute. 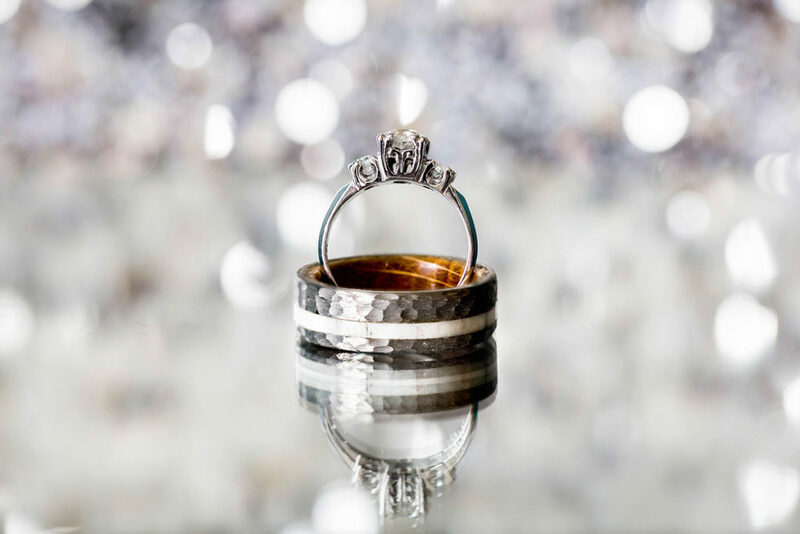 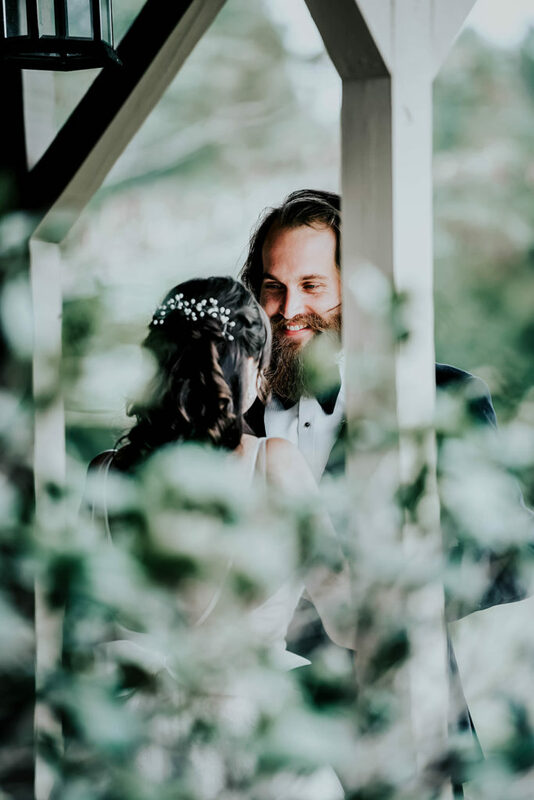 They bonded over a minor car break-in Sabra had, and one day he asked her for her number while her manager stood close by, observing the entire exchange! 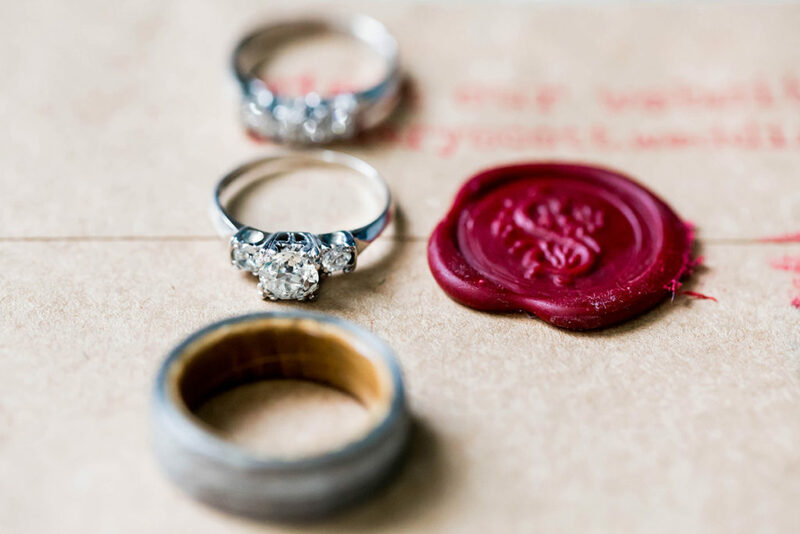 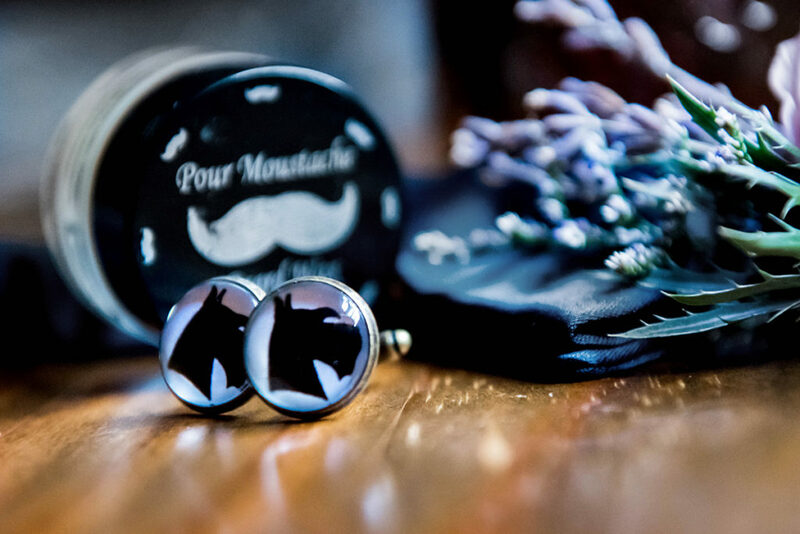 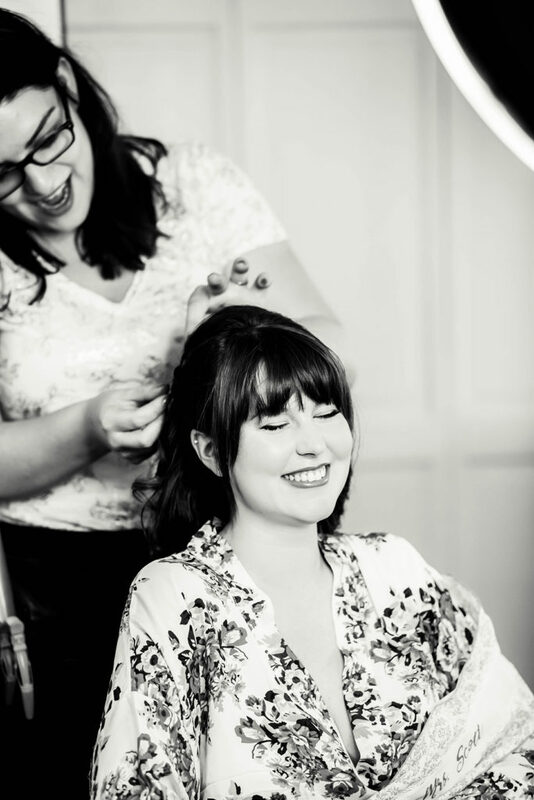 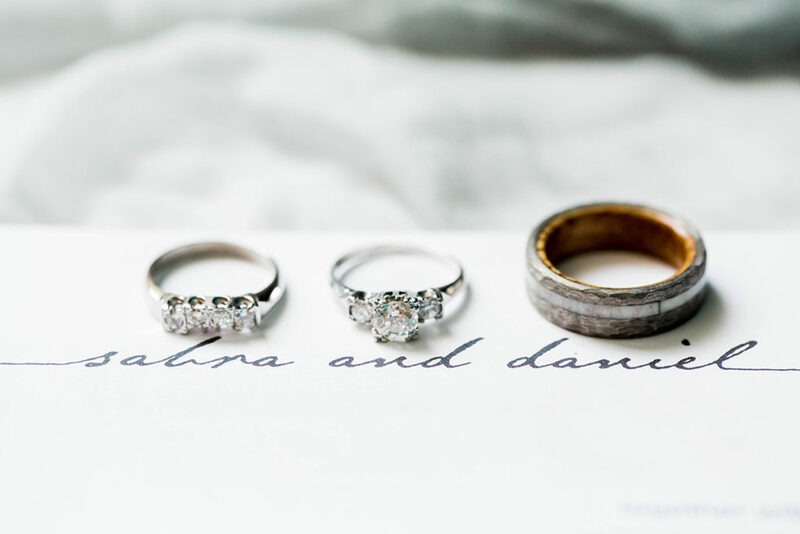 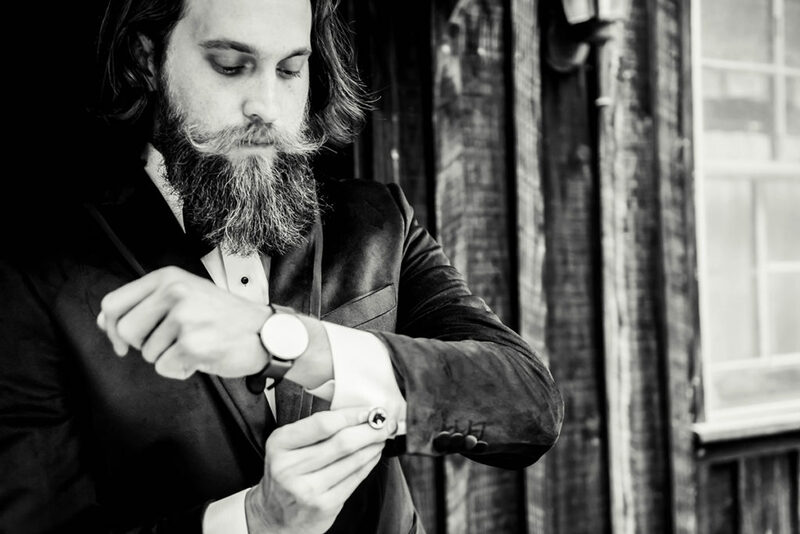 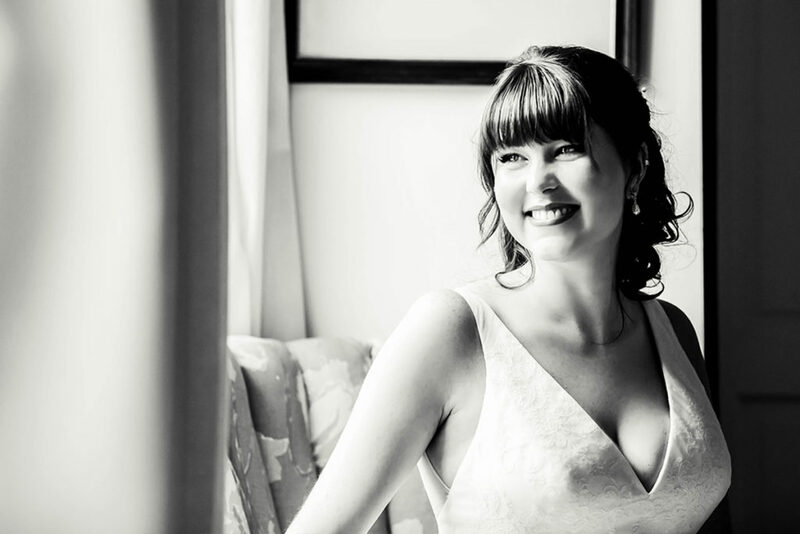 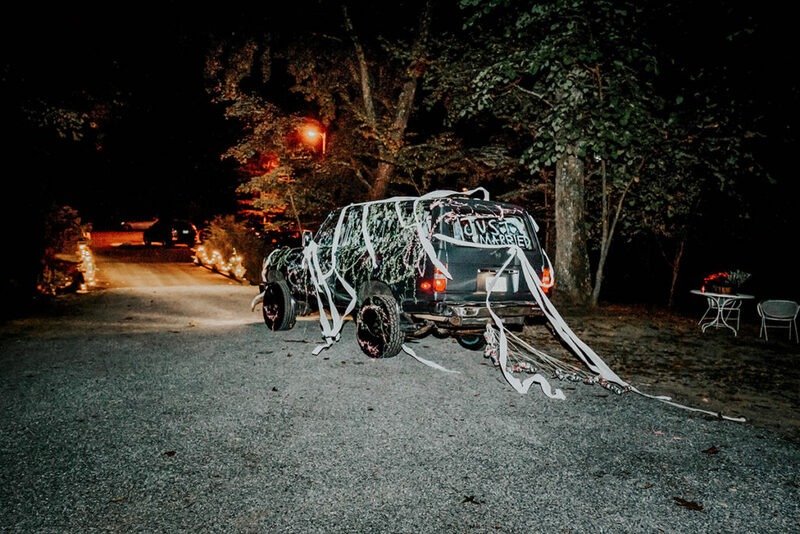 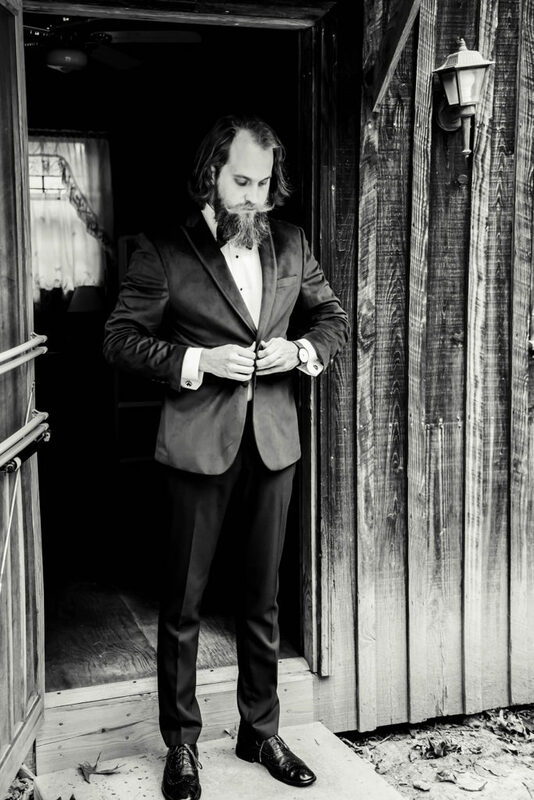 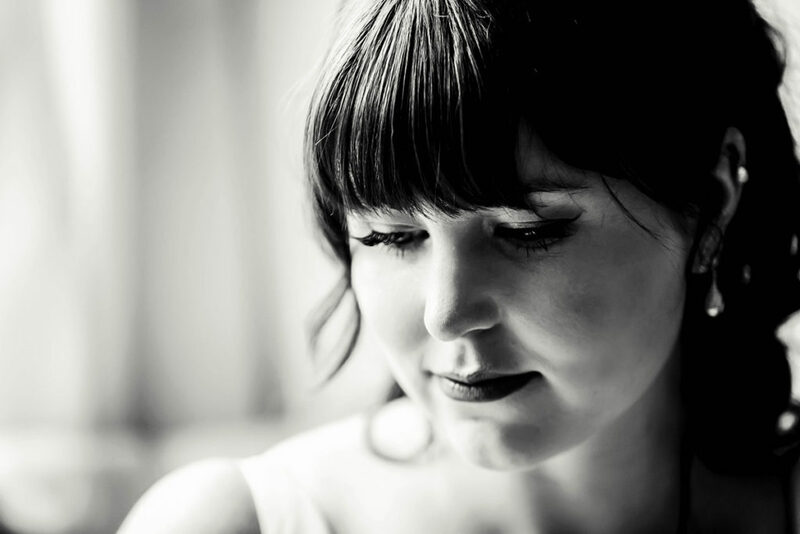 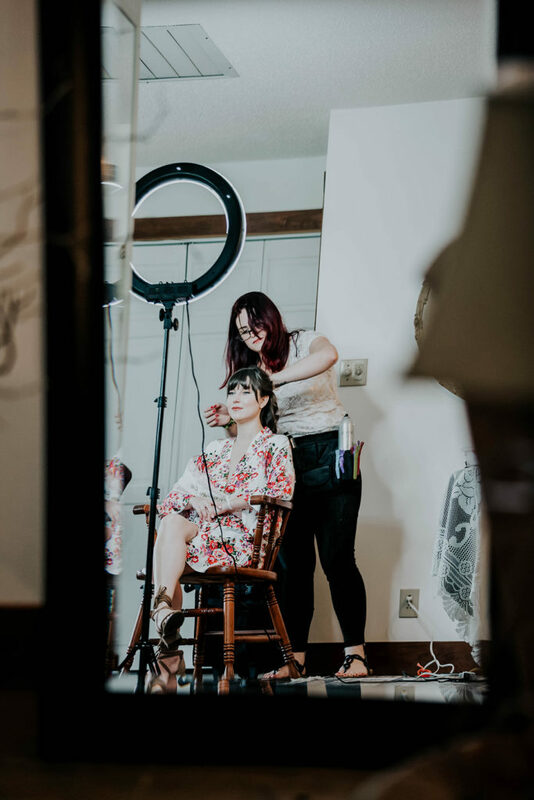 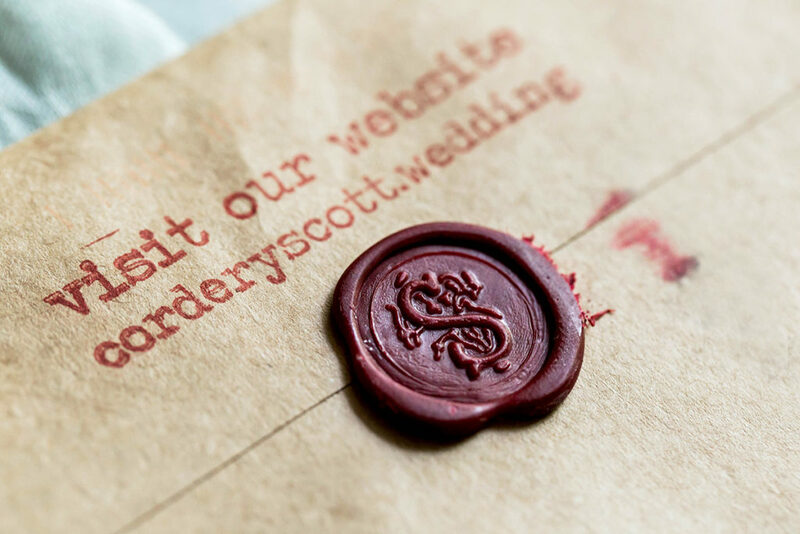 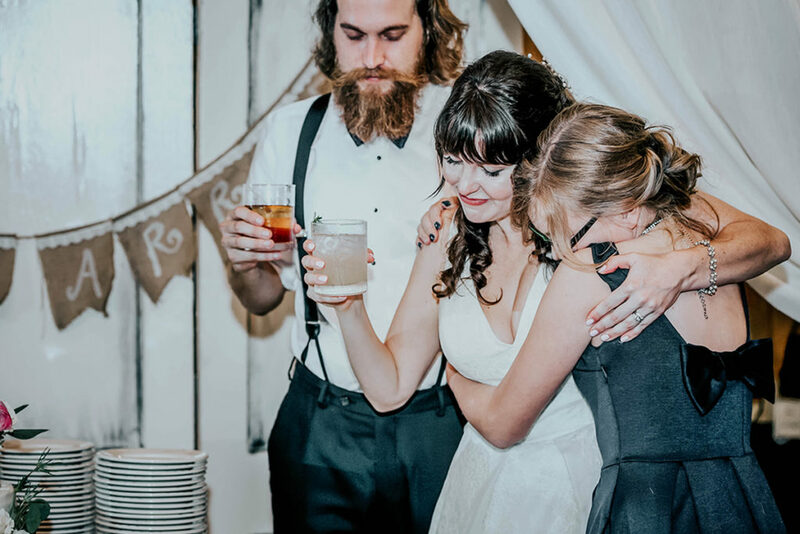 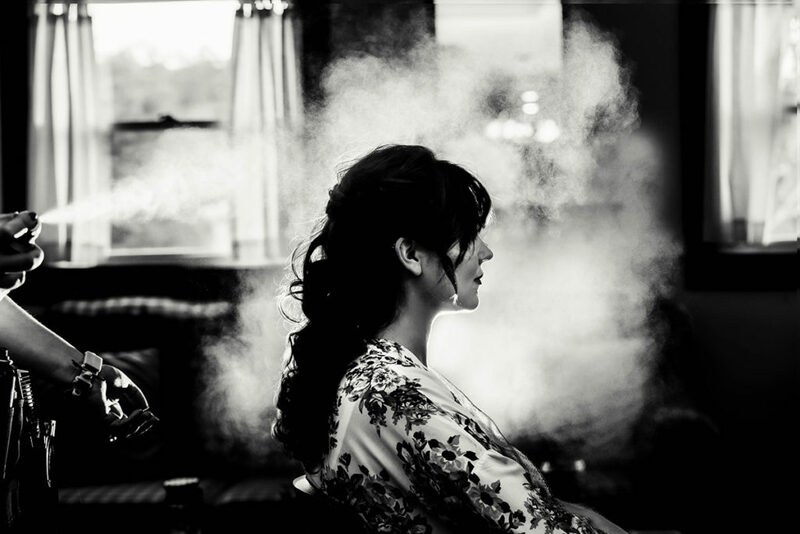 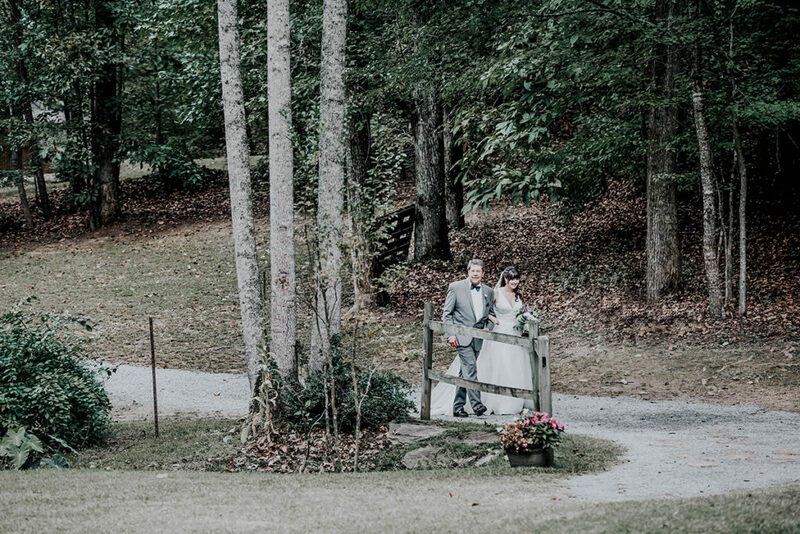 About the wedding… It was a Natural/Rustic theme. 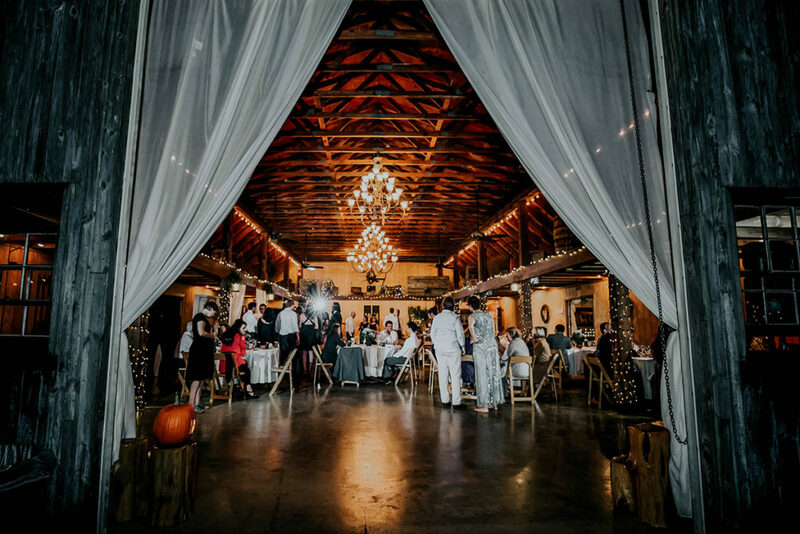 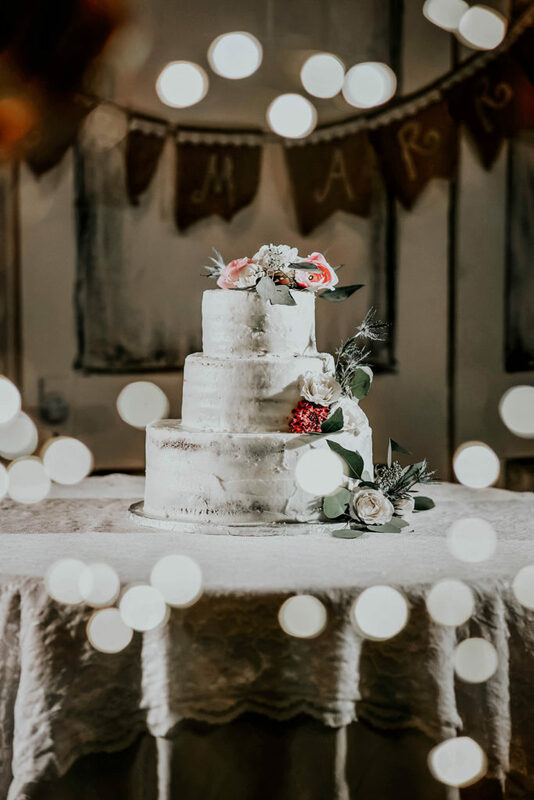 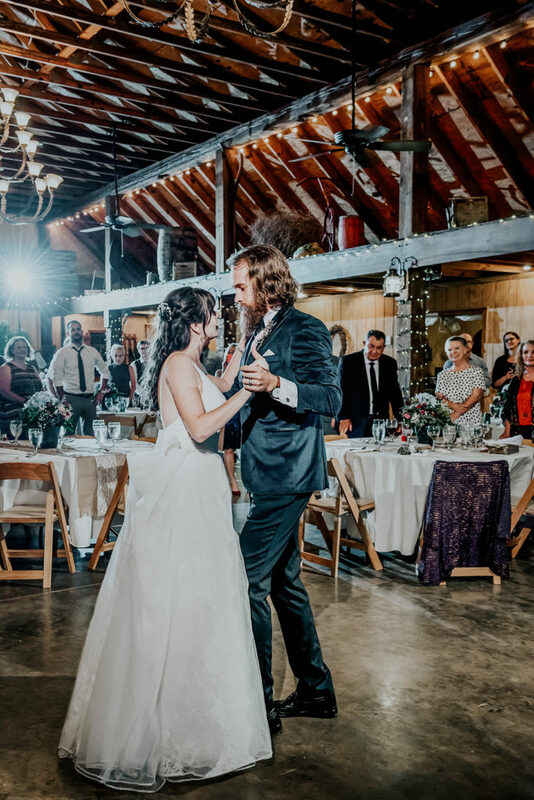 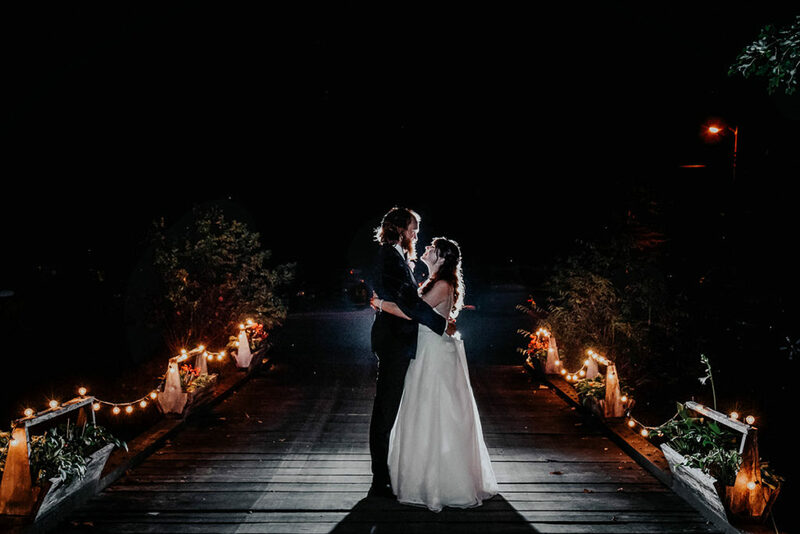 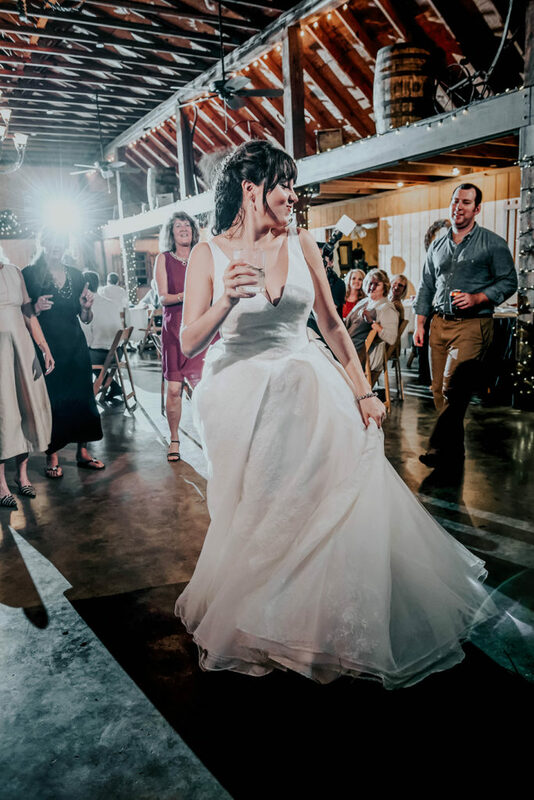 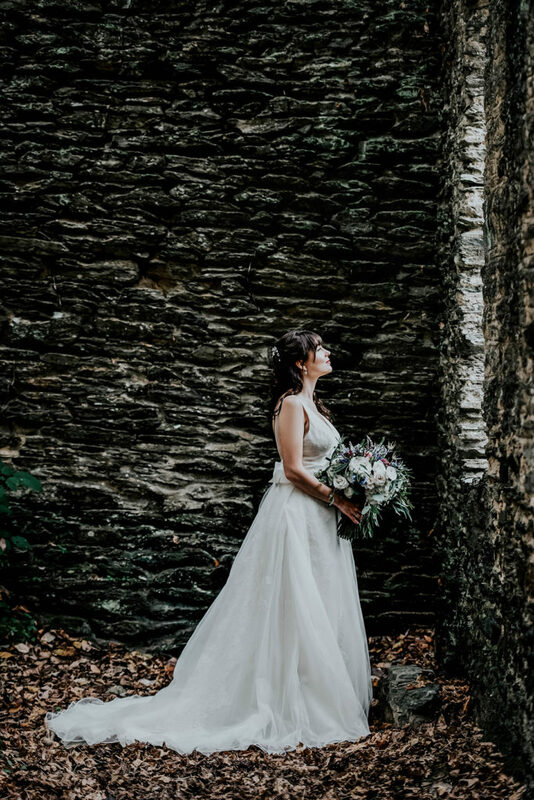 Given that the venue was so unique, with the outside ceremony and reception in the old barn, they didn’t want to add in extra decorations to the detriment of the venue’s natural beauty. 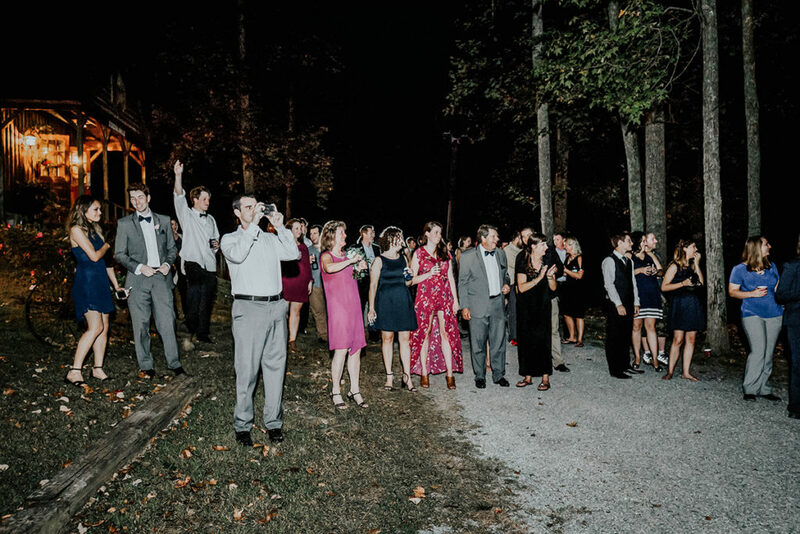 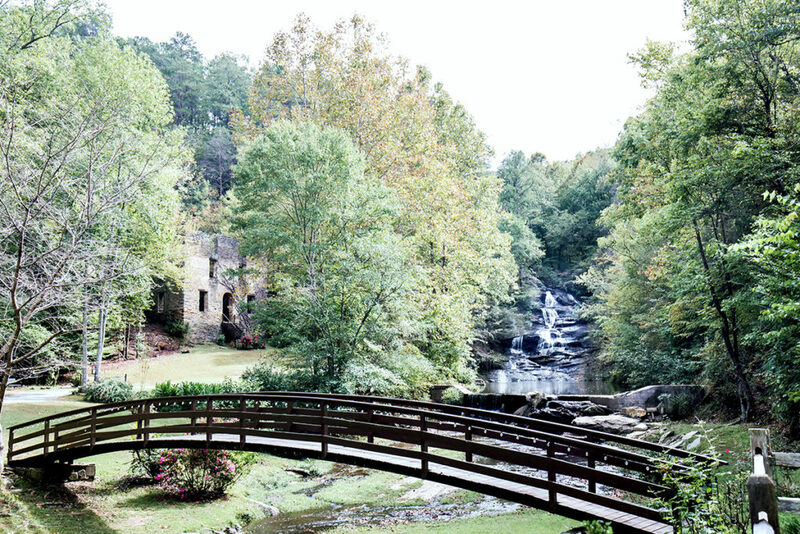 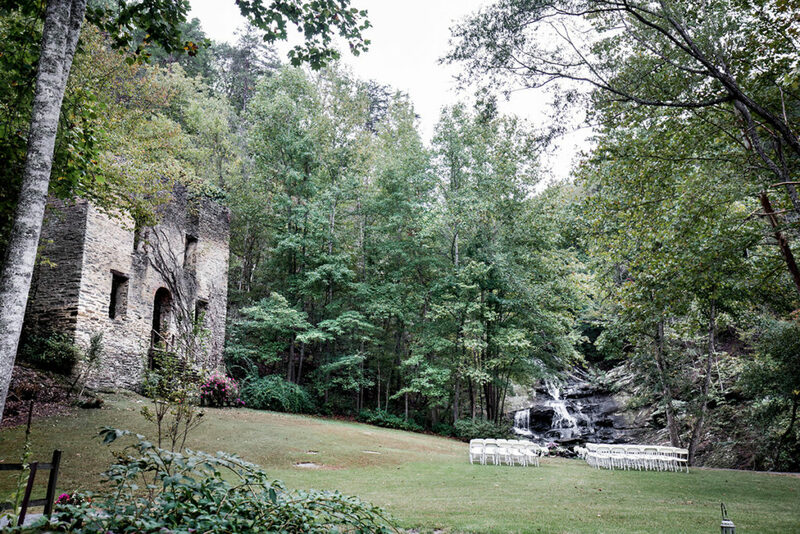 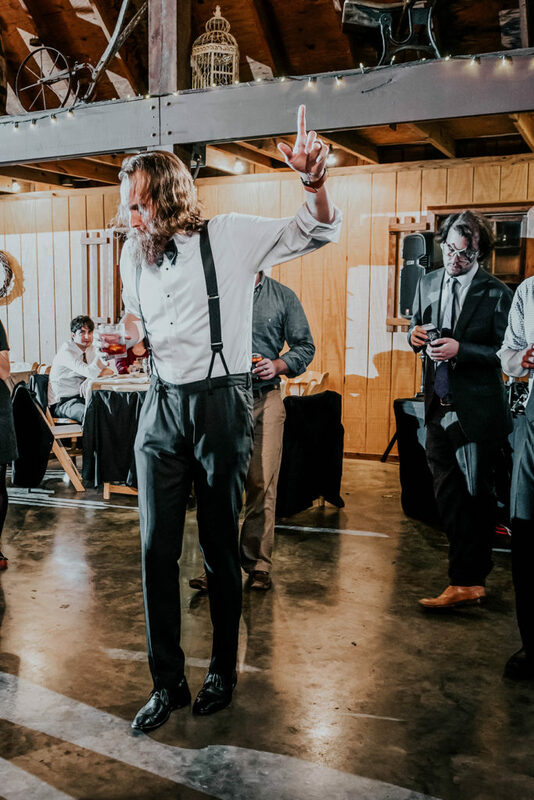 Hightower Falls is an event venue that combines nature and rustic charm. 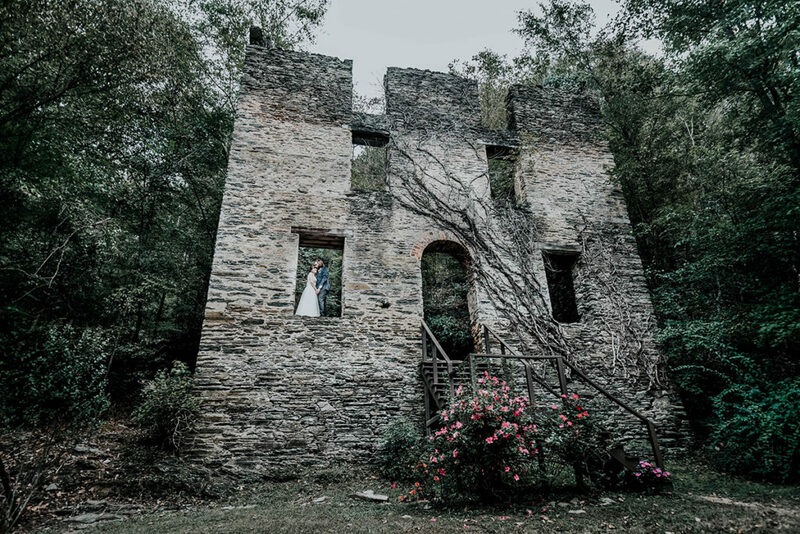 It has an 80 foot, spring fed, cascading waterfall and an 1850 stone grist mill ruins that have attracted people for over 150 years. 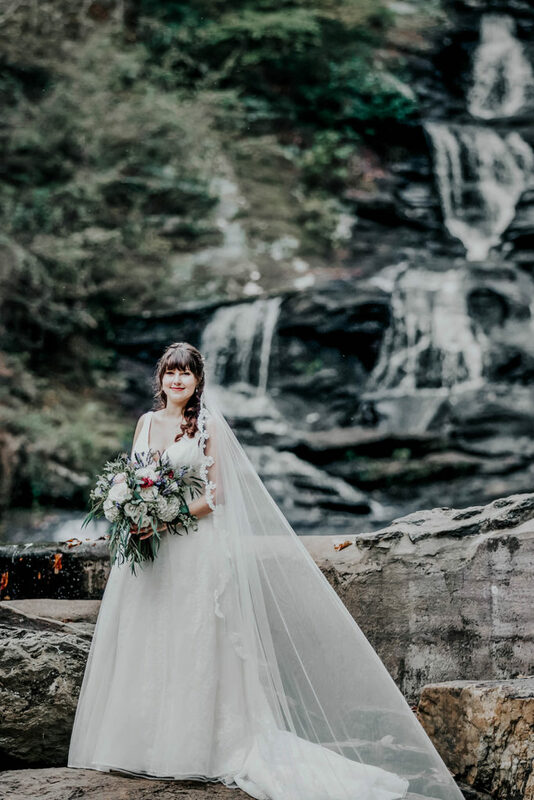 The beauty of nature is perfected by landscaping and flowers that make a breathtaking background for this special occasion! 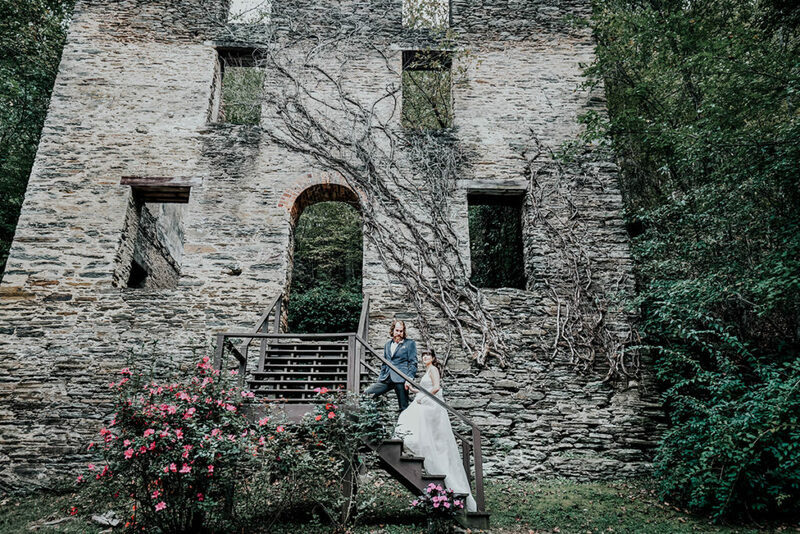 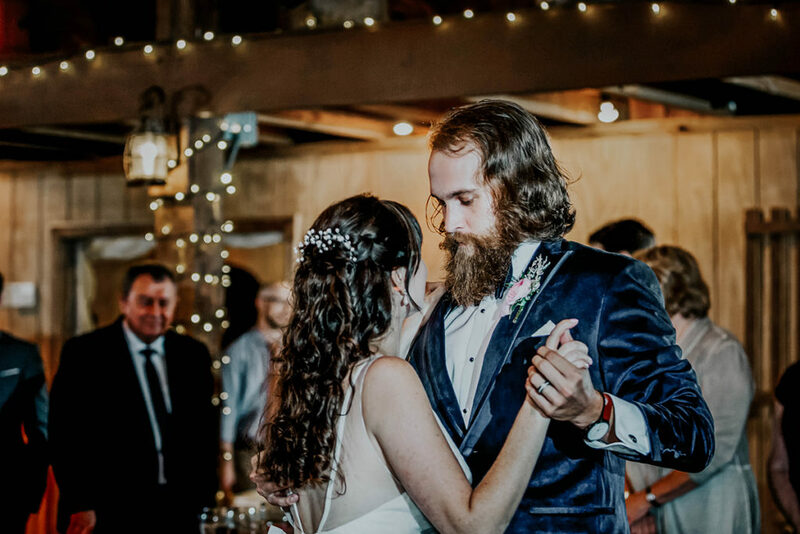 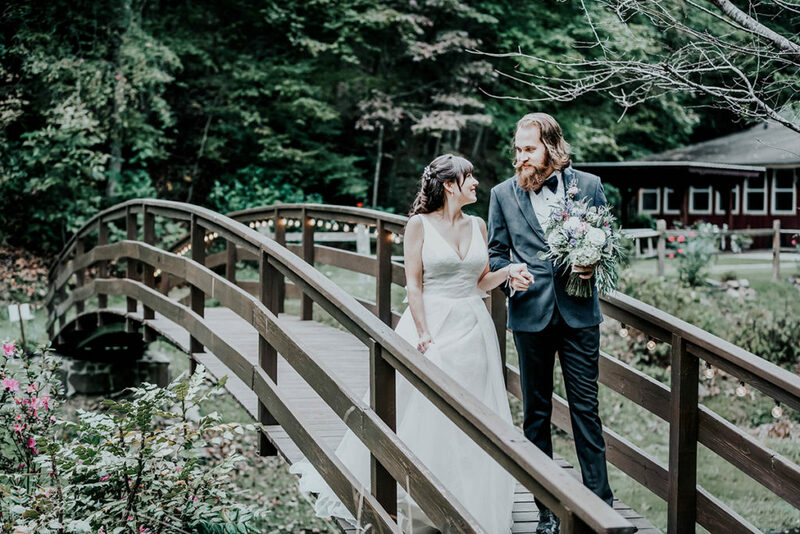 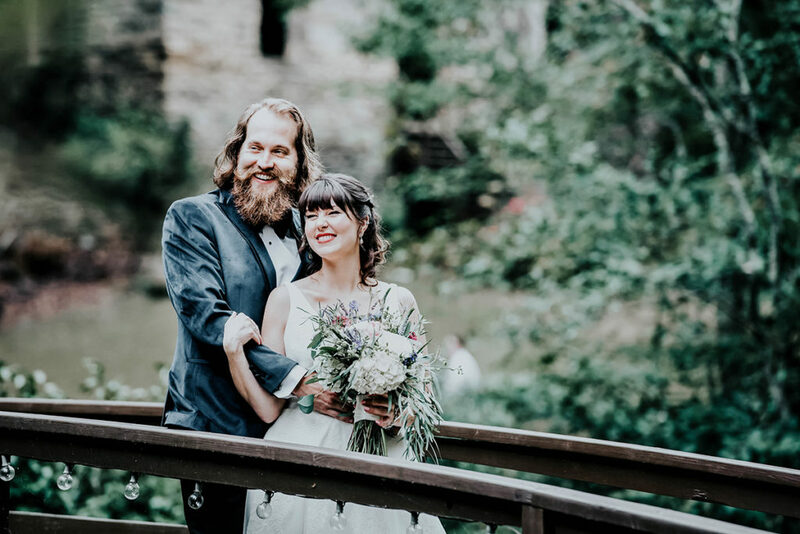 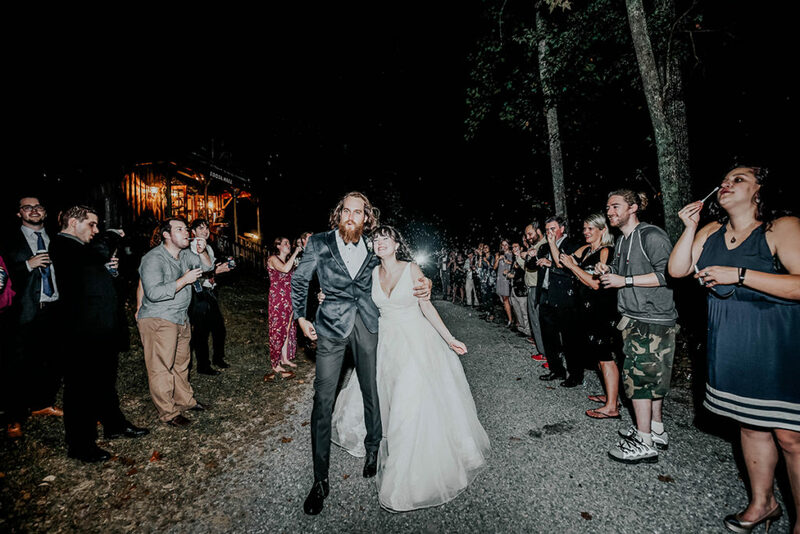 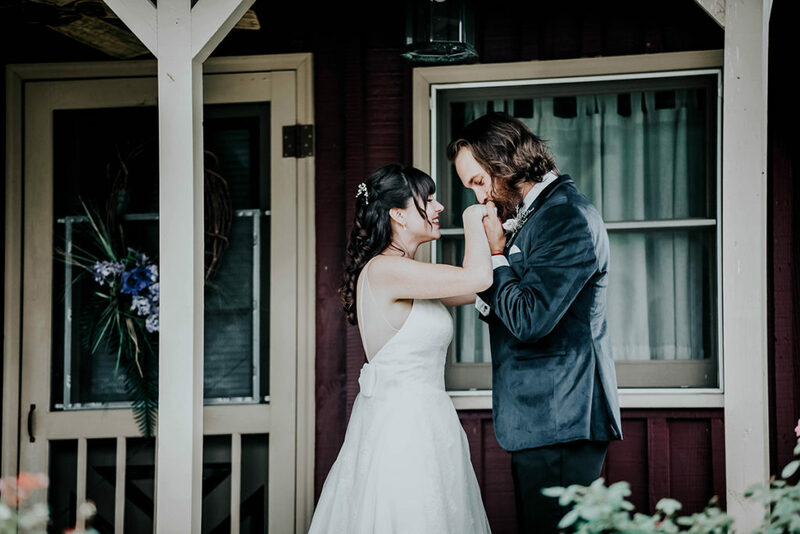 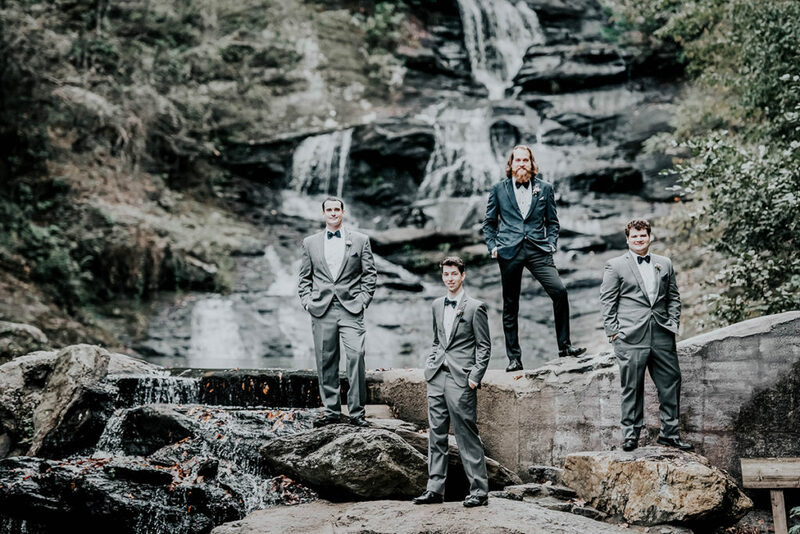 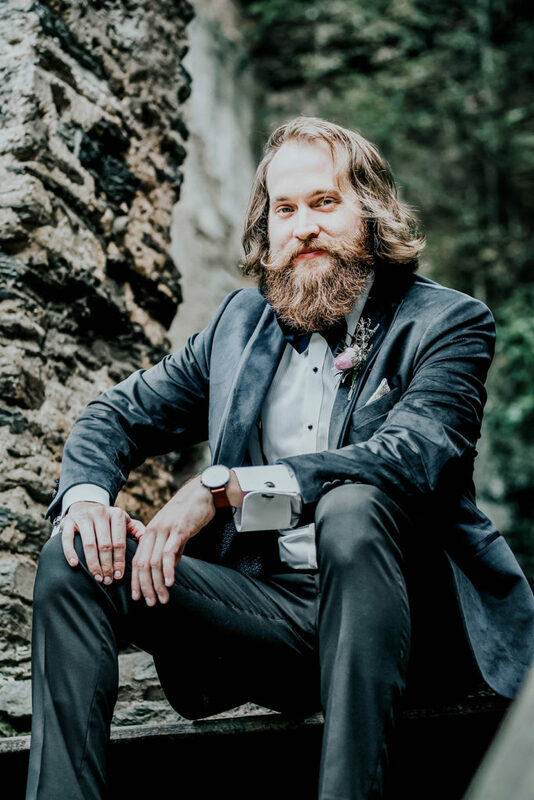 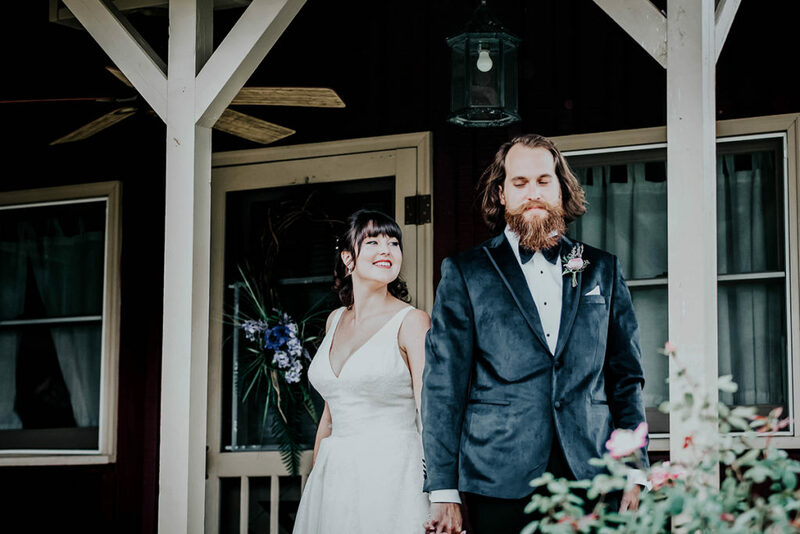 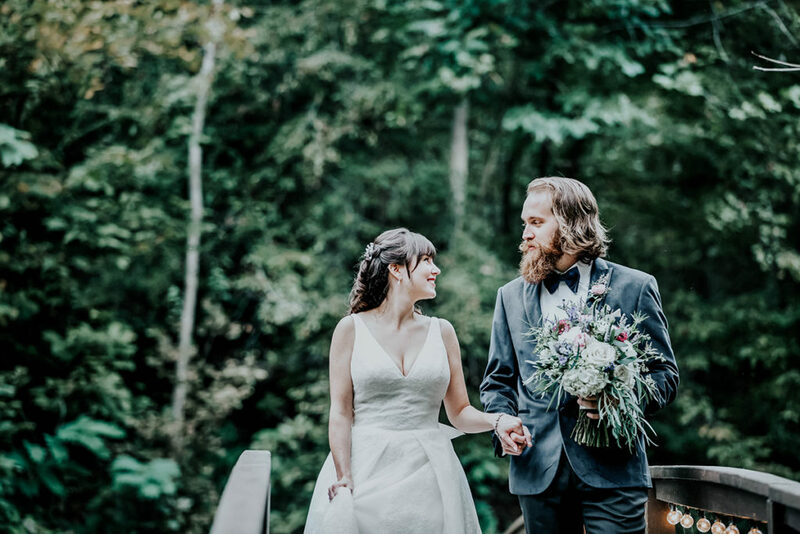 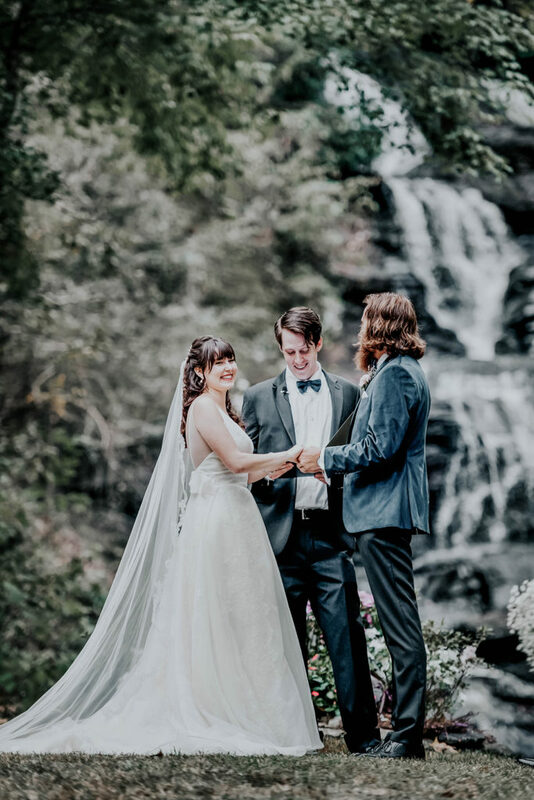 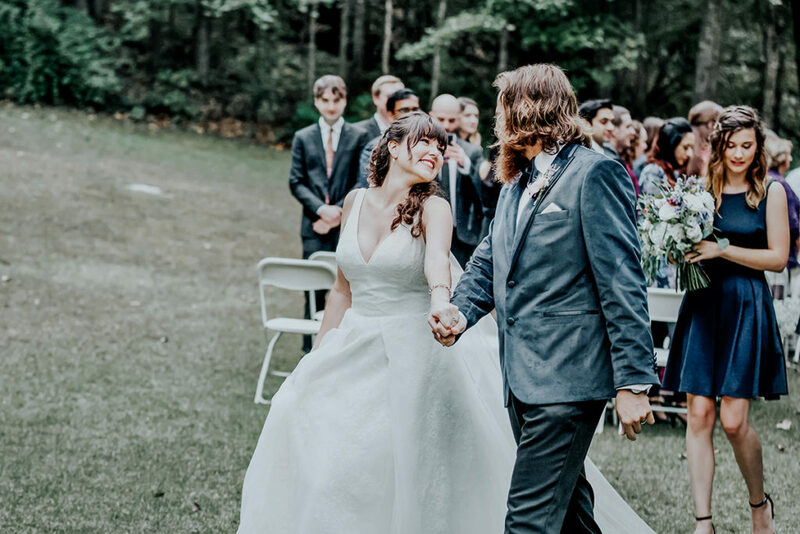 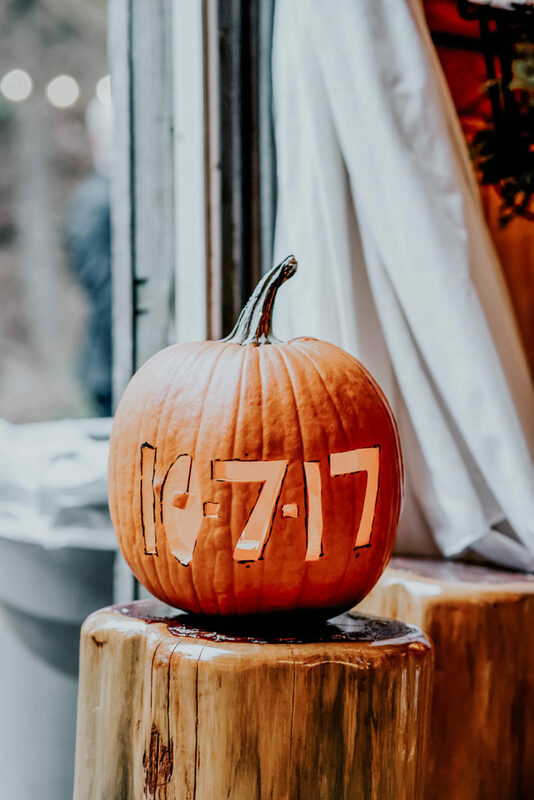 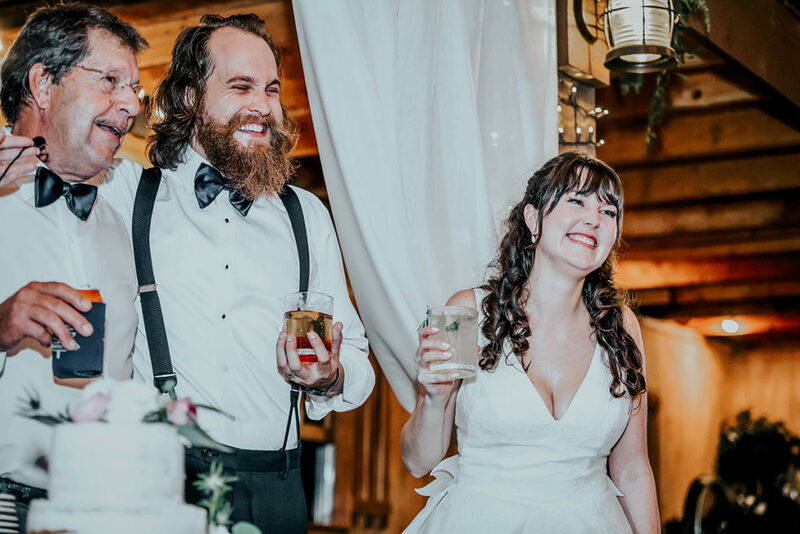 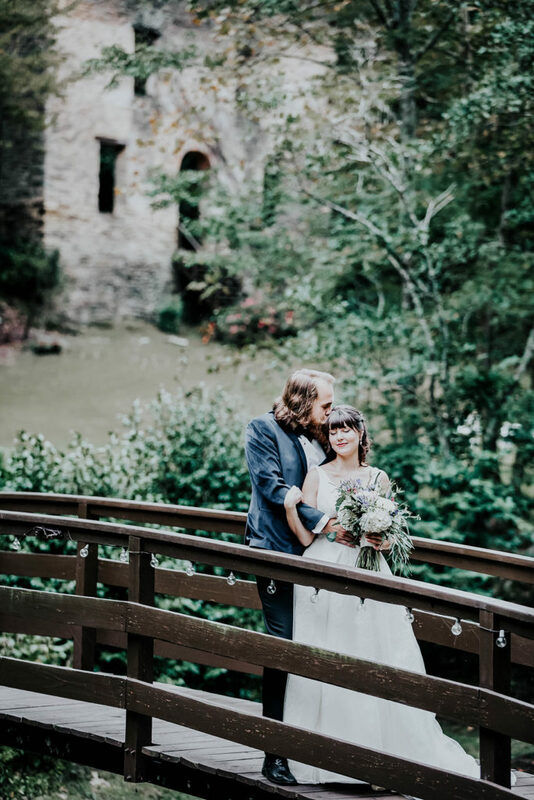 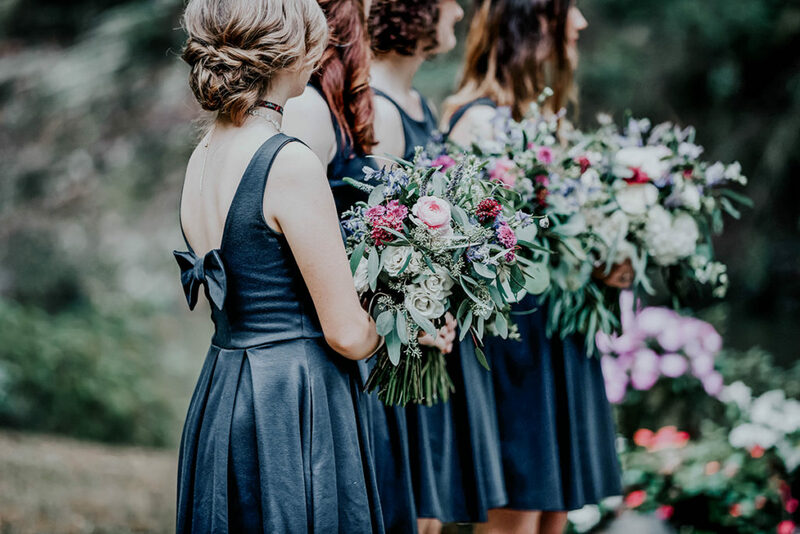 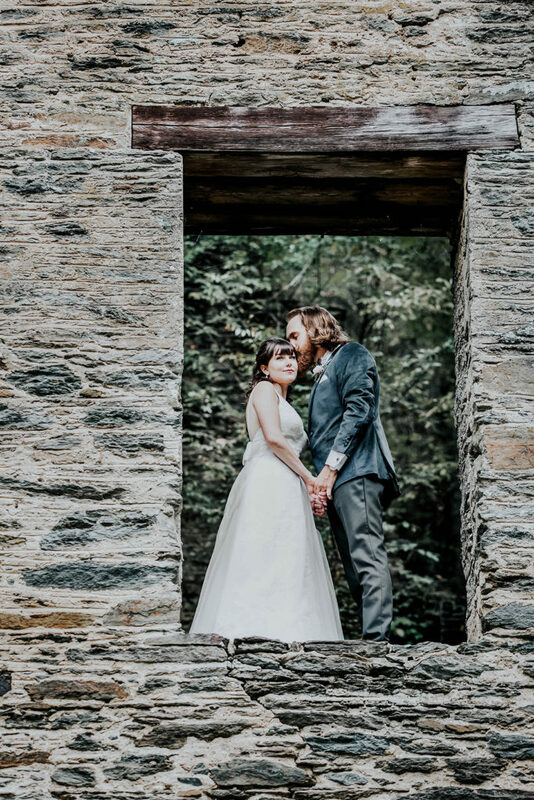 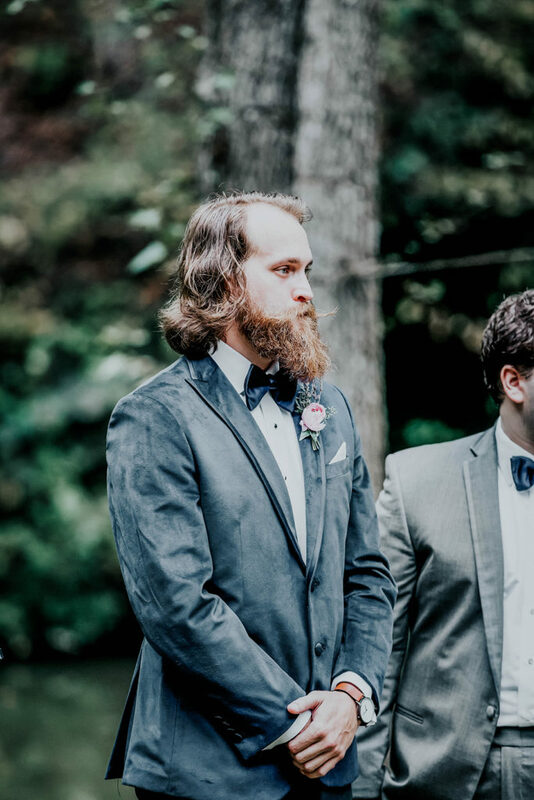 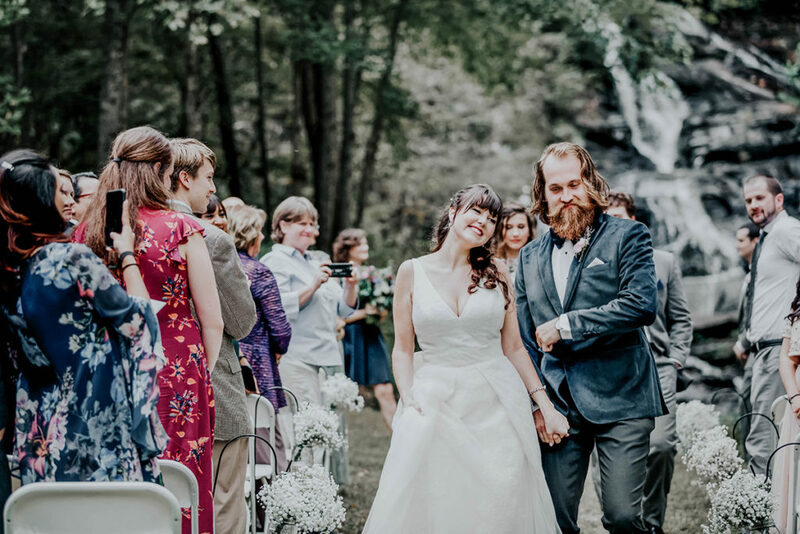 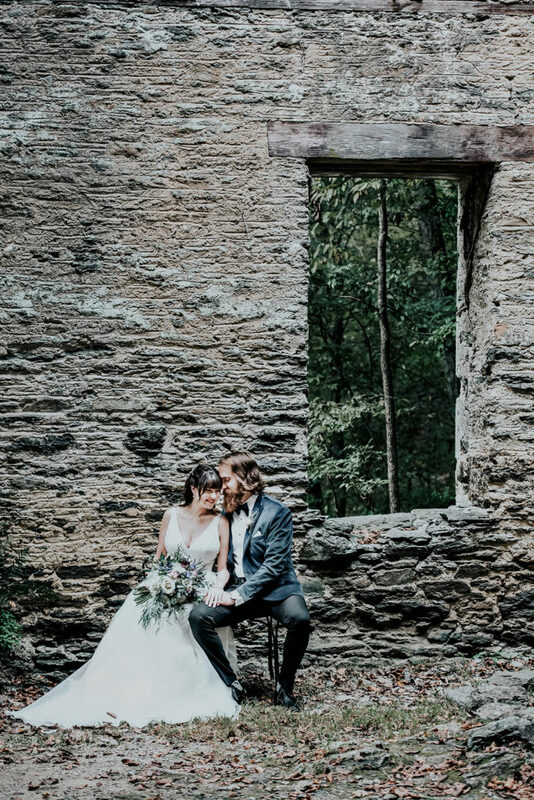 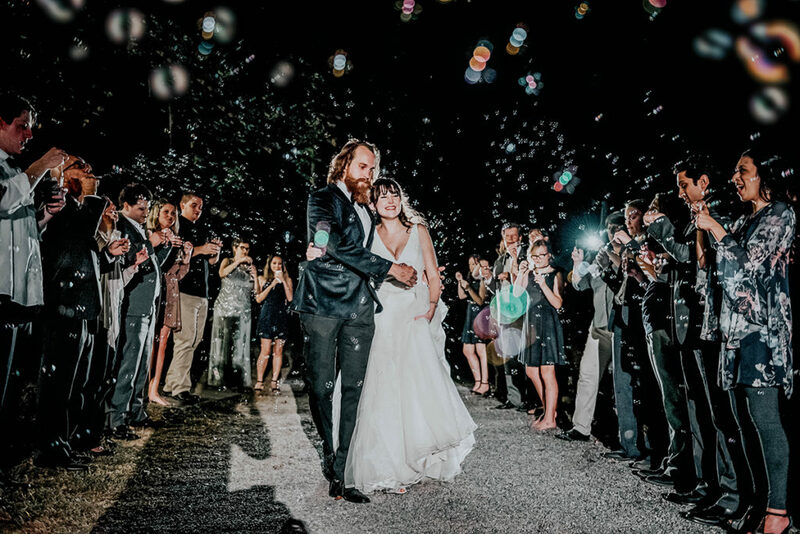 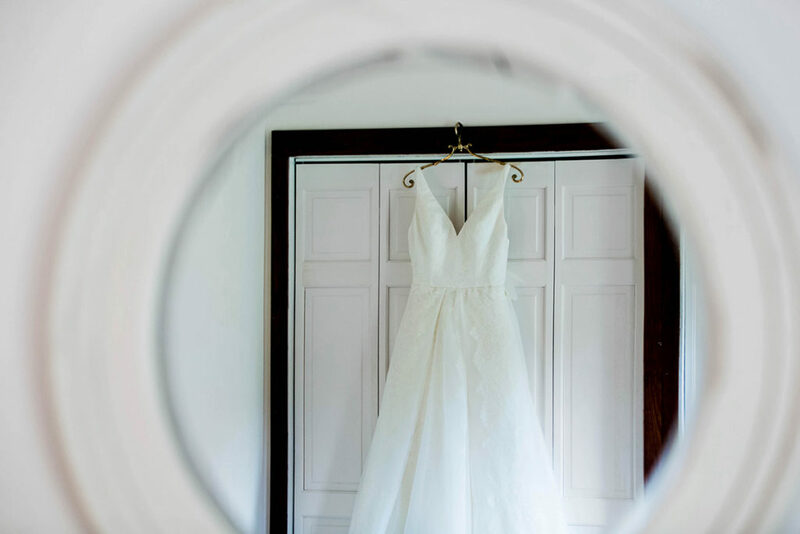 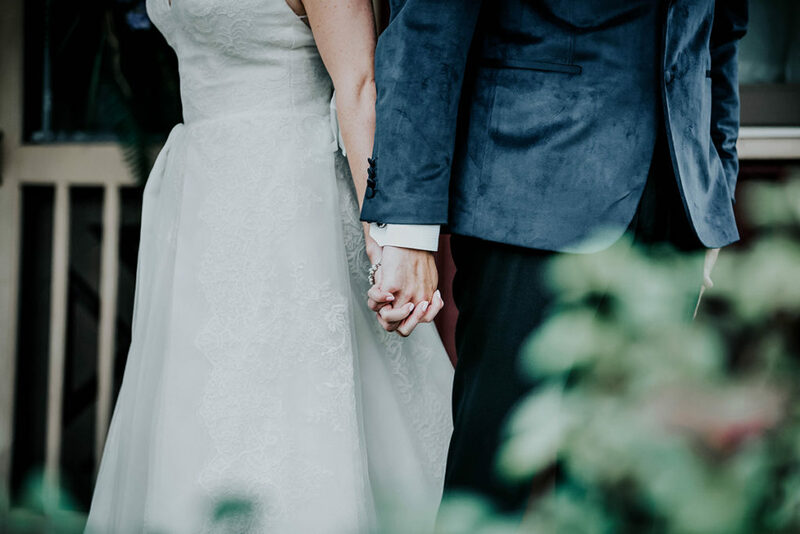 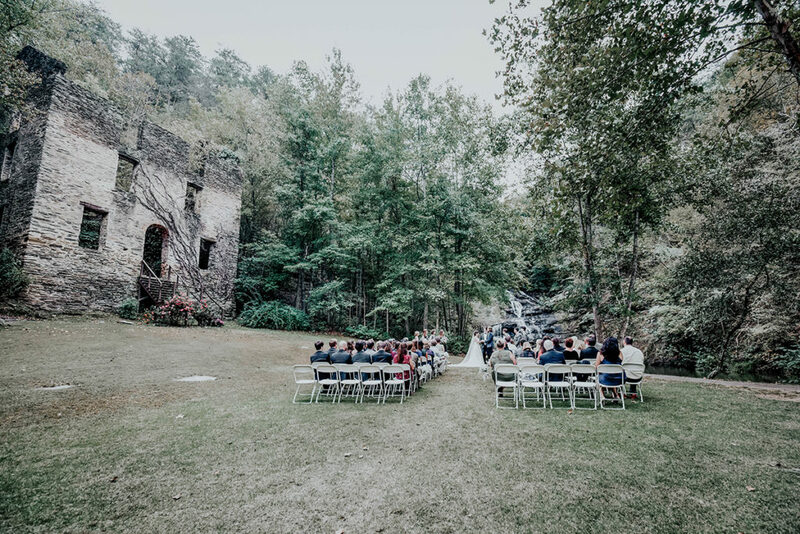 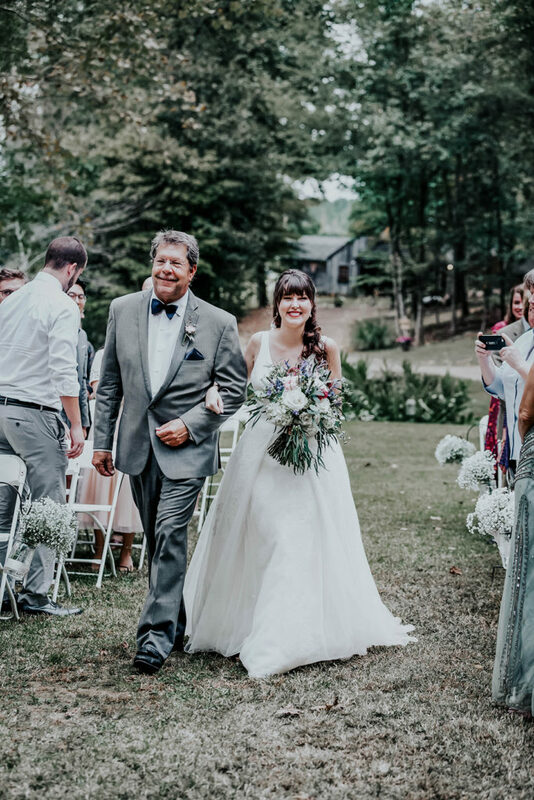 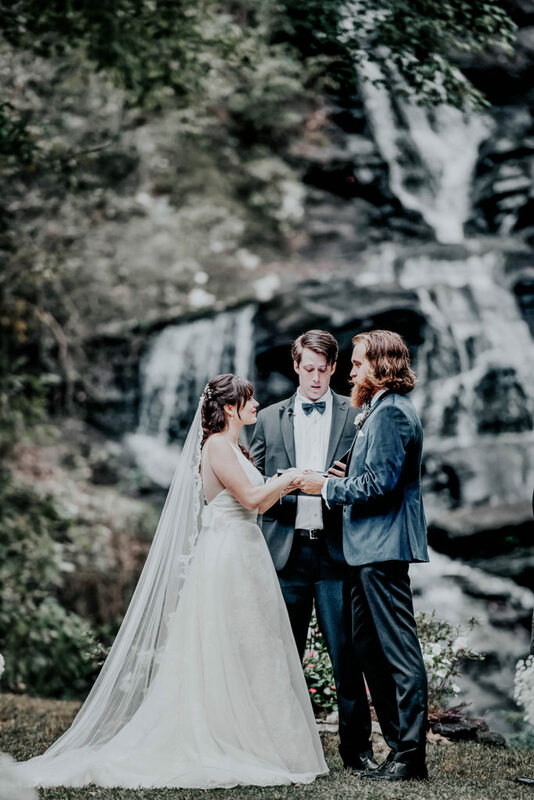 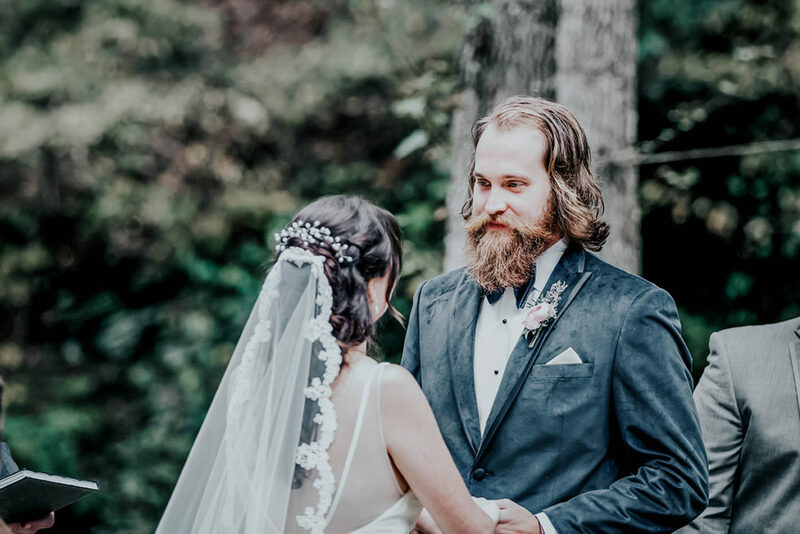 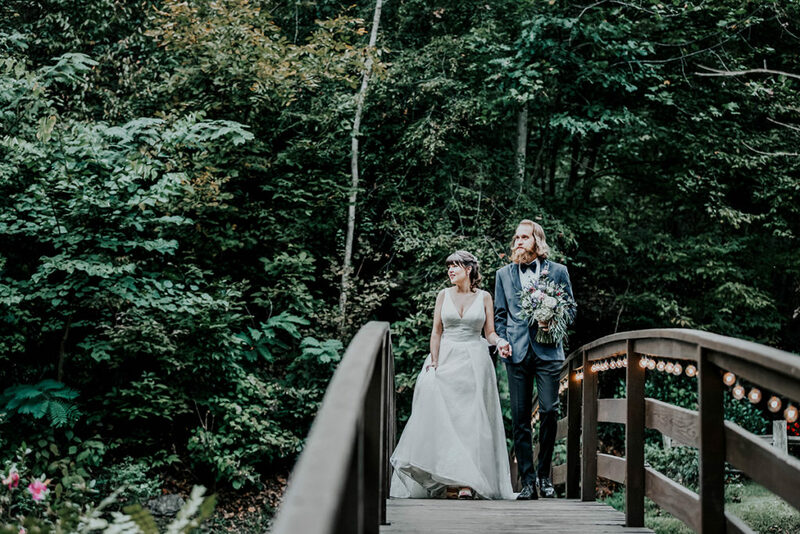 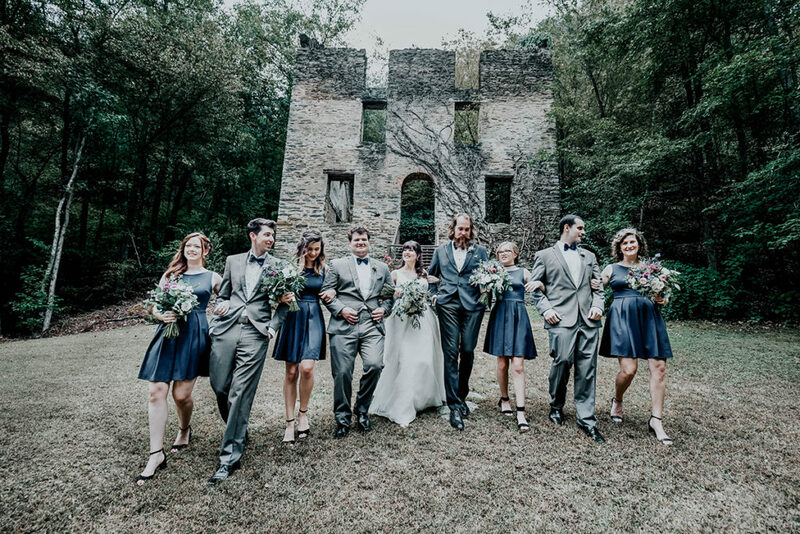 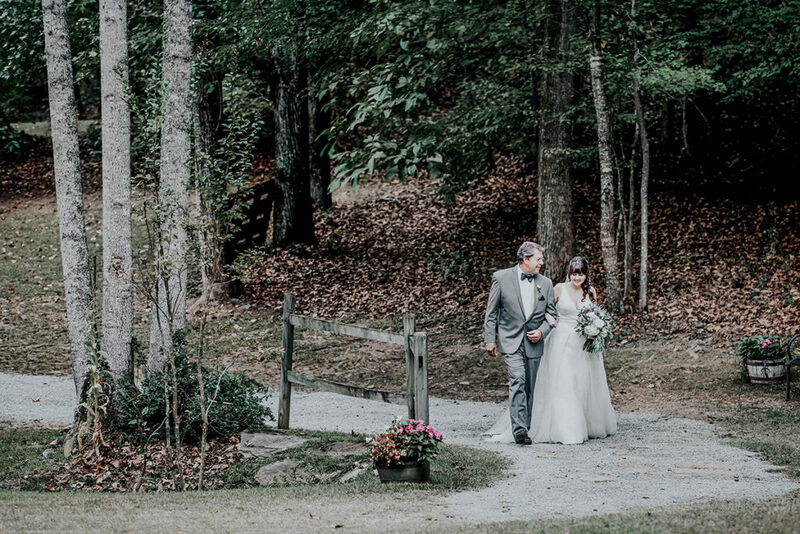 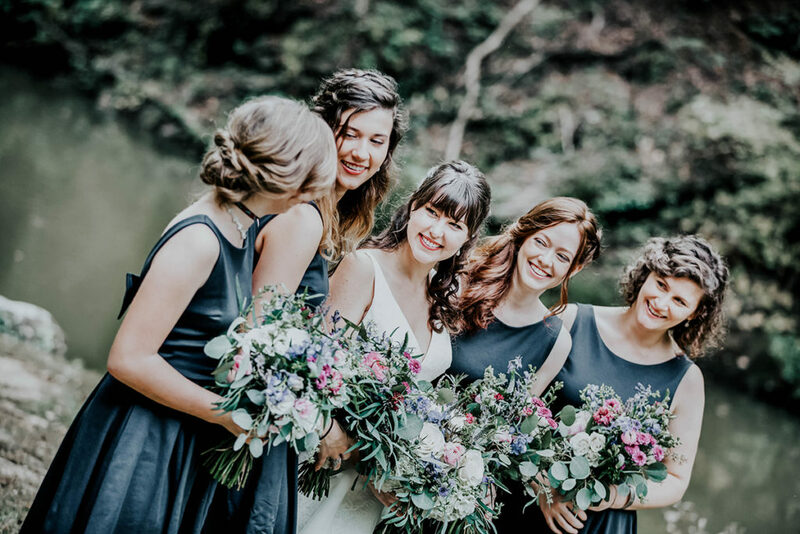 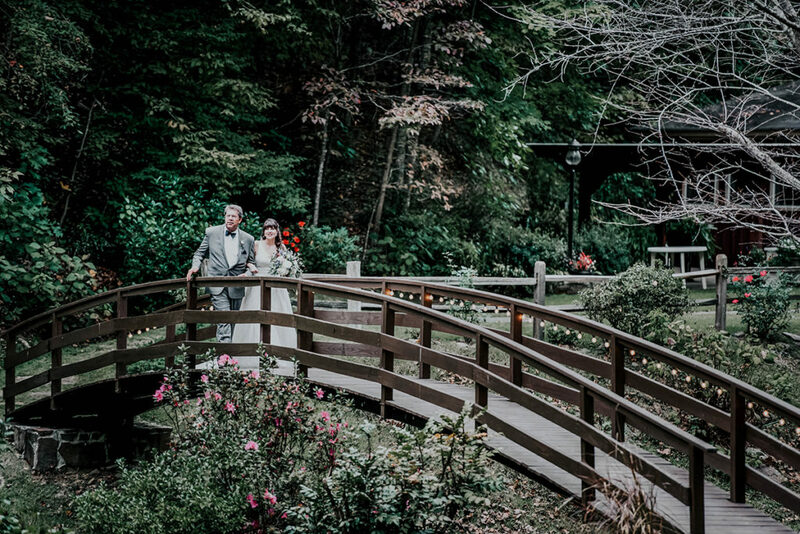 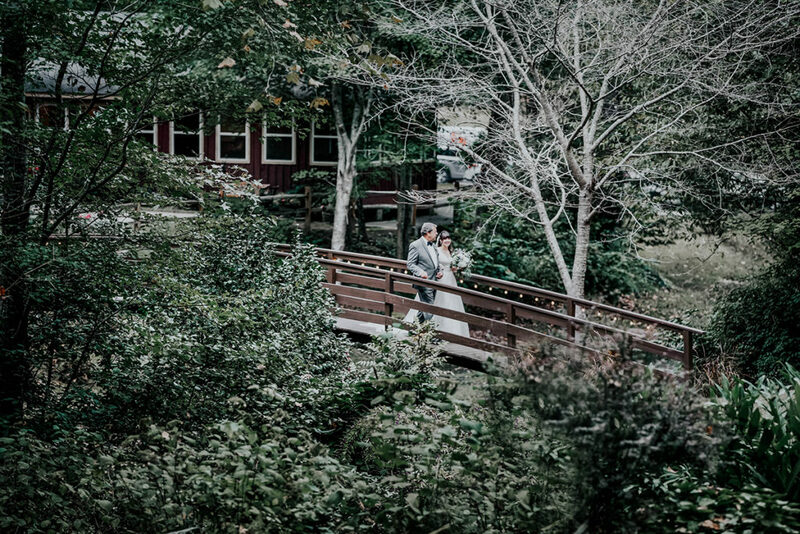 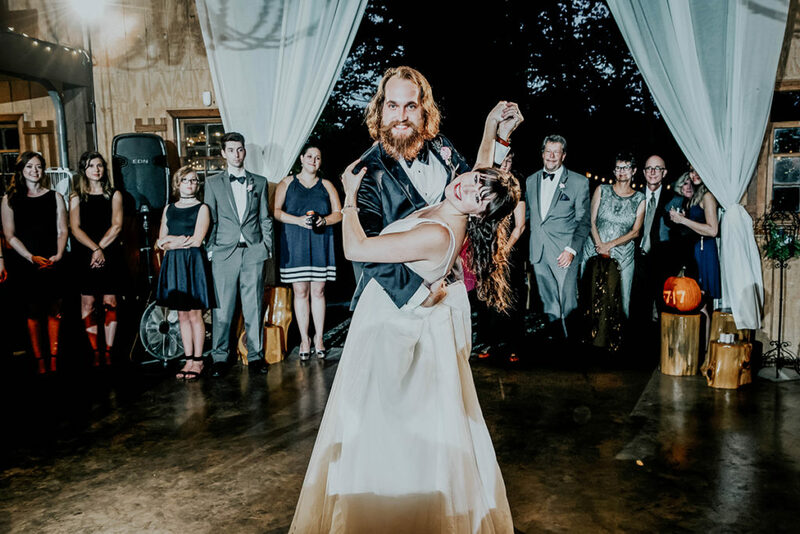 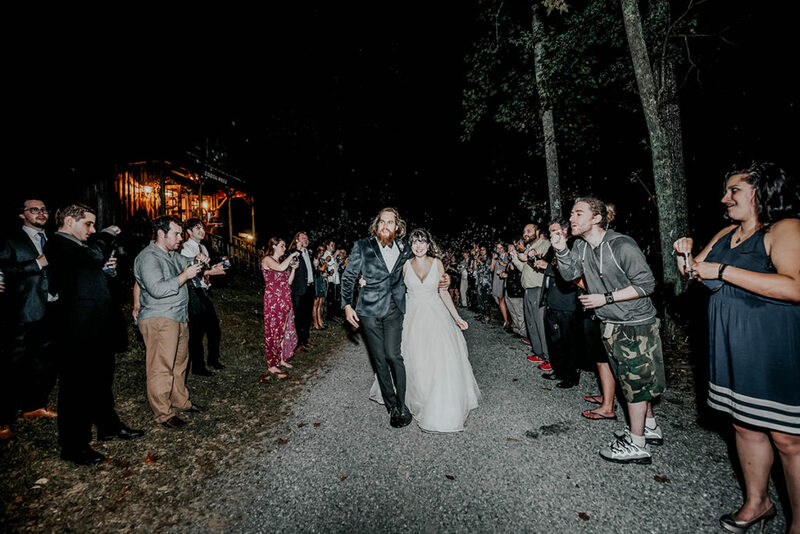 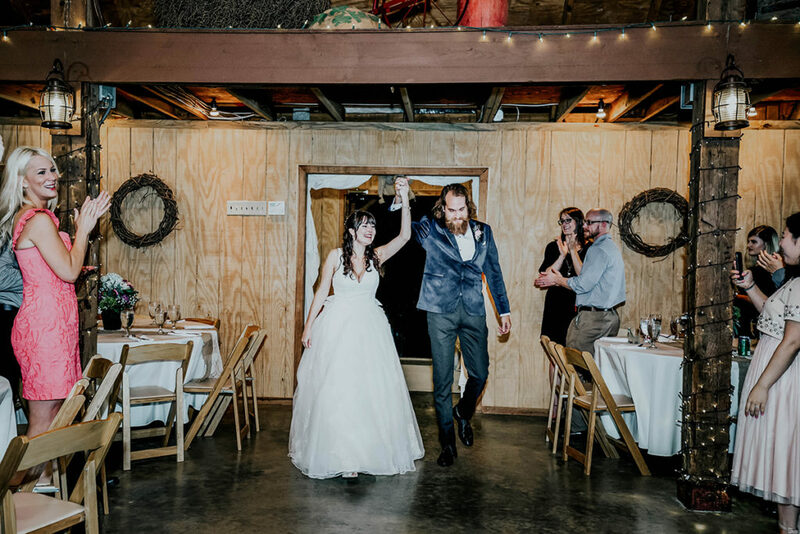 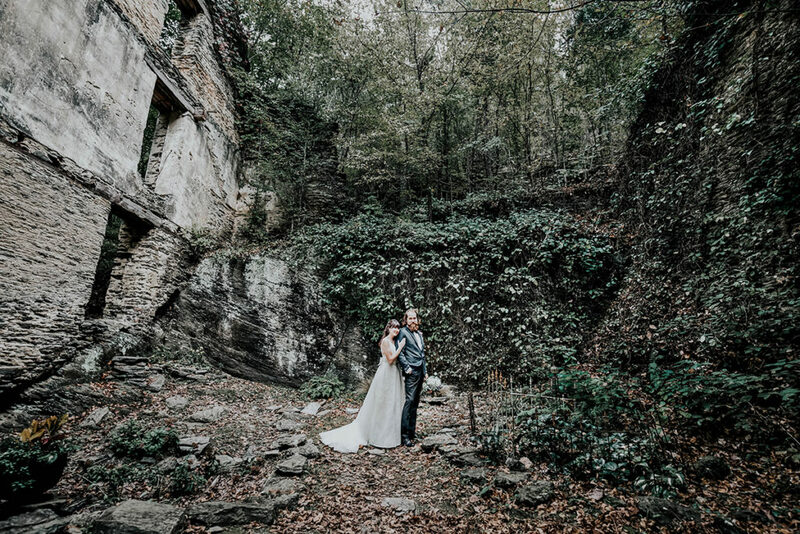 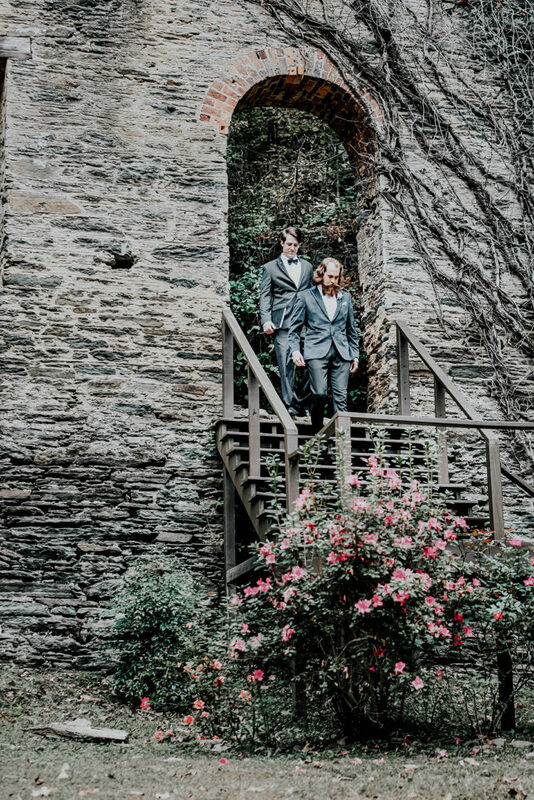 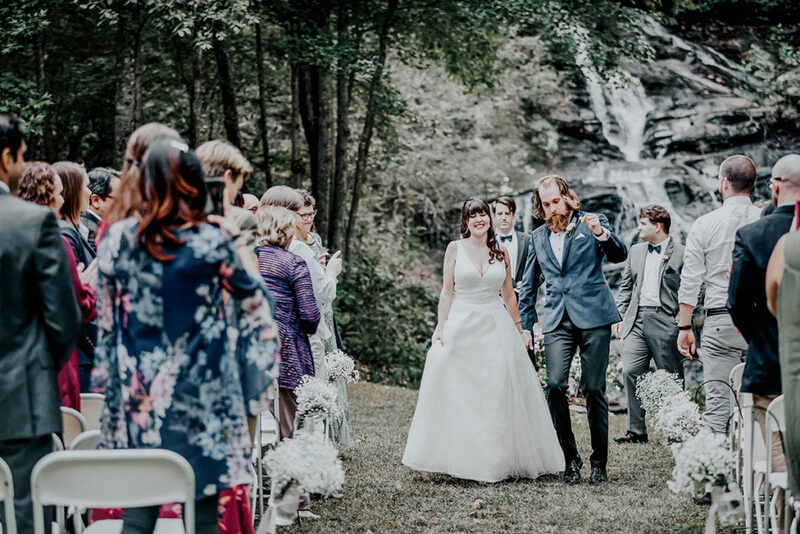 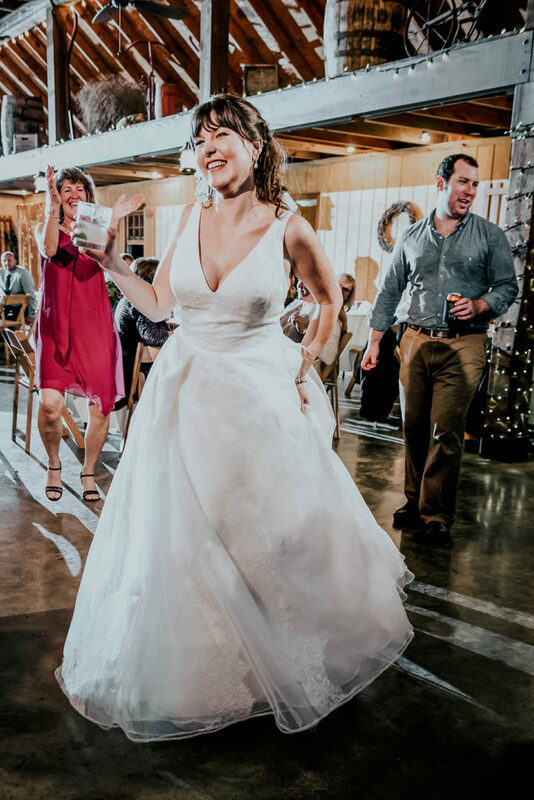 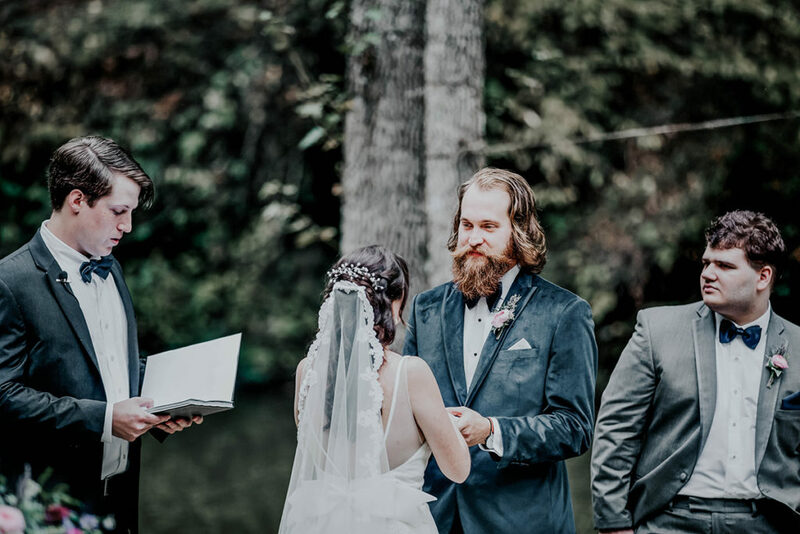 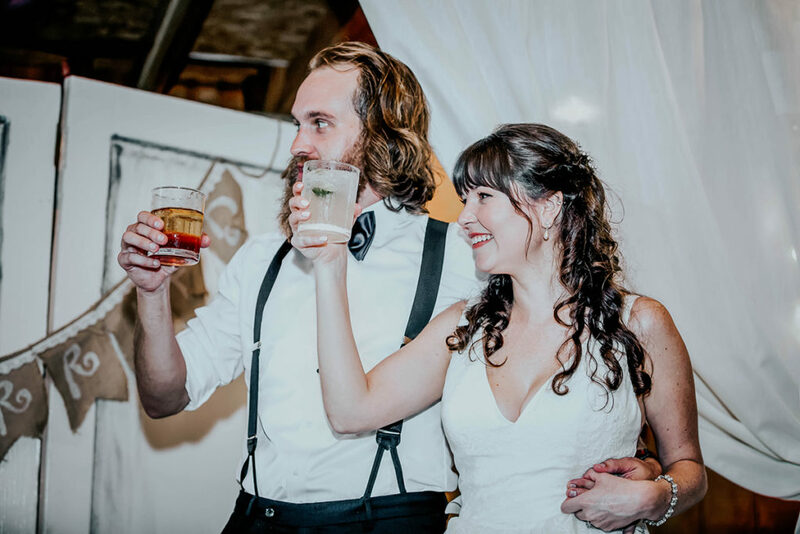 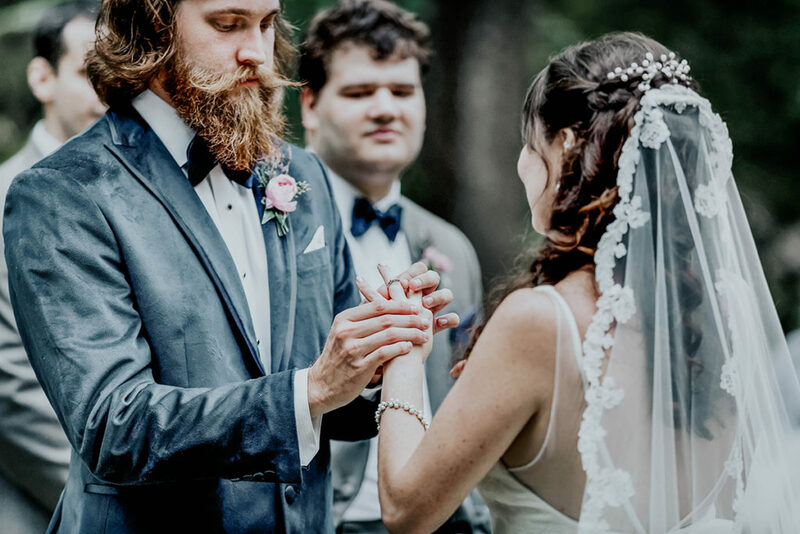 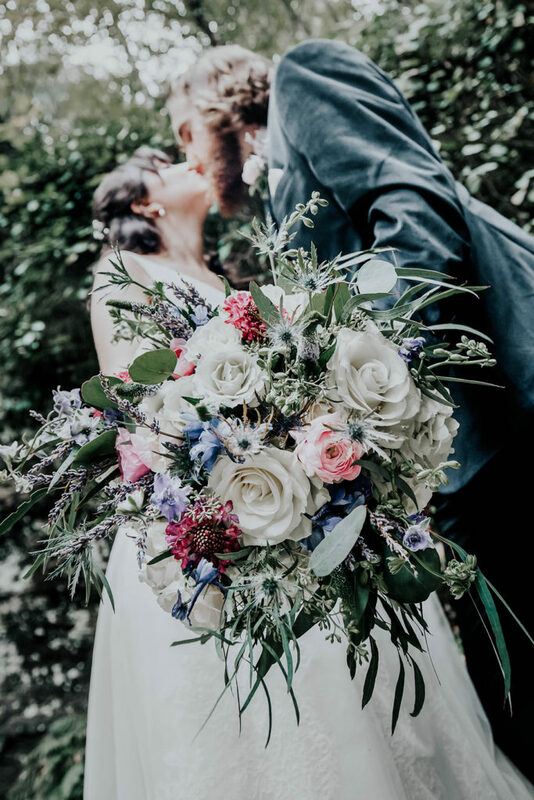 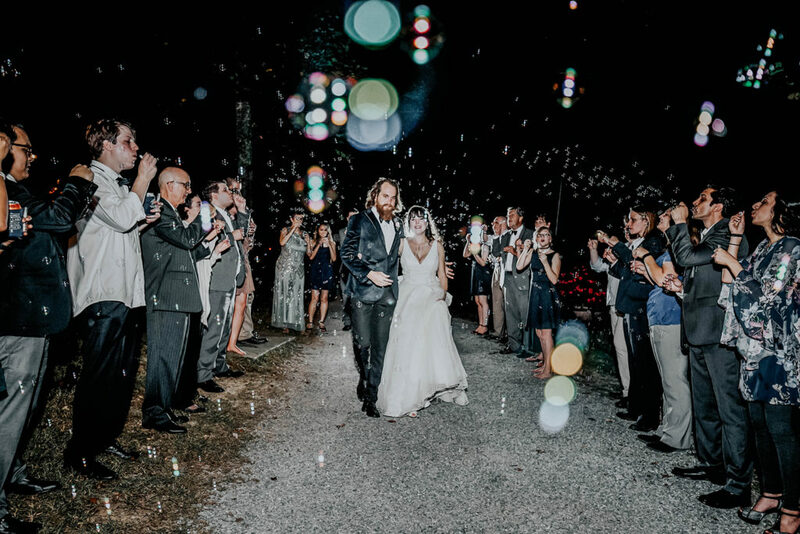 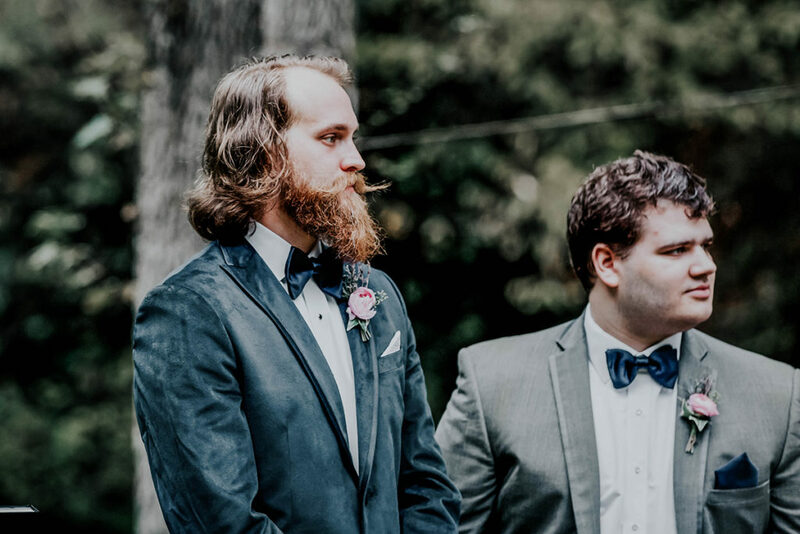 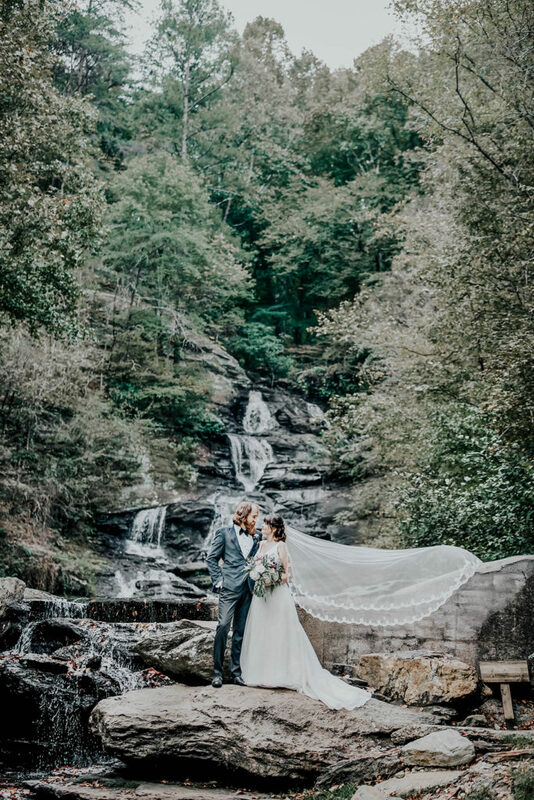 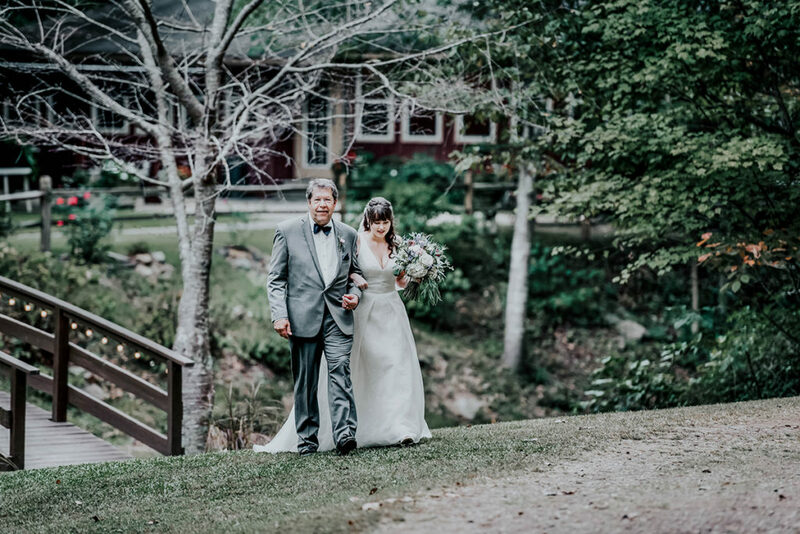 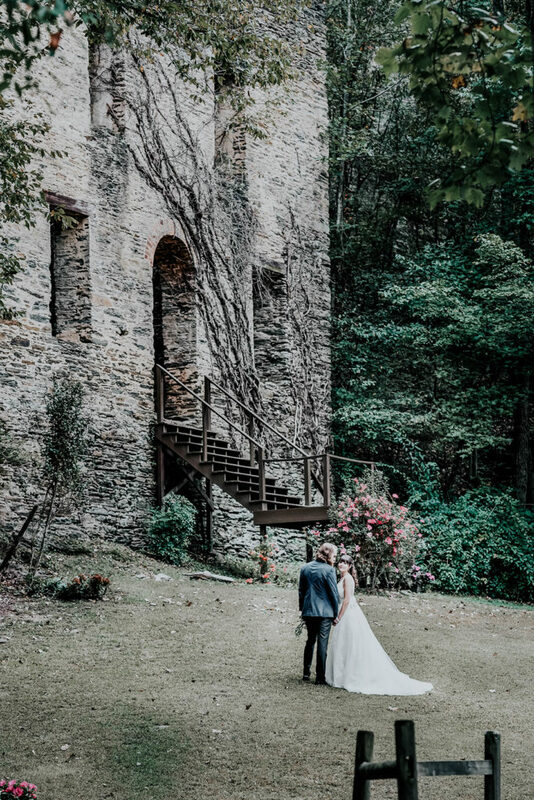 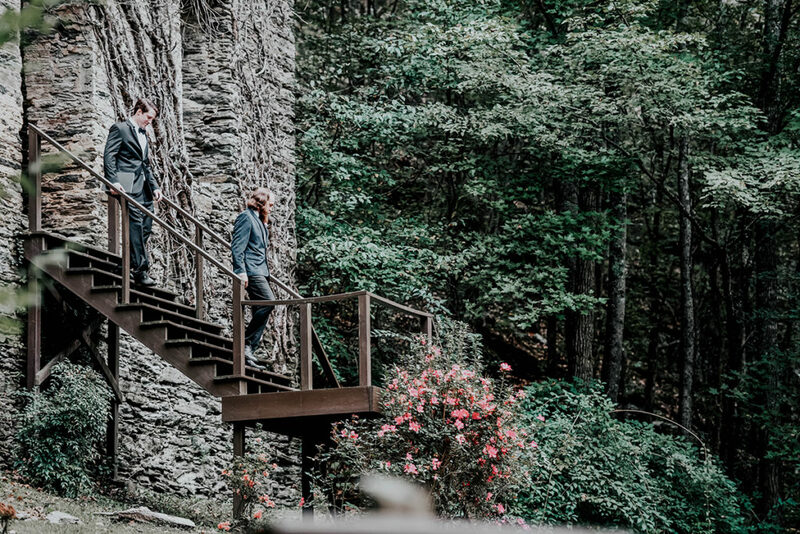 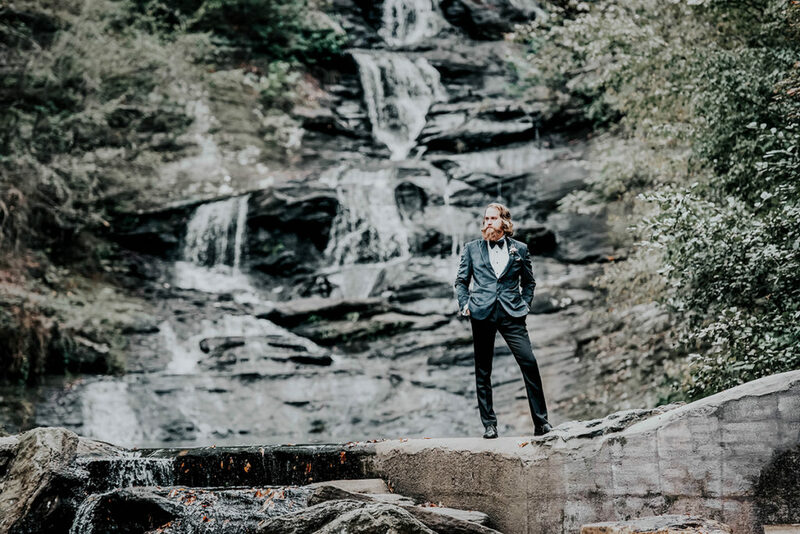 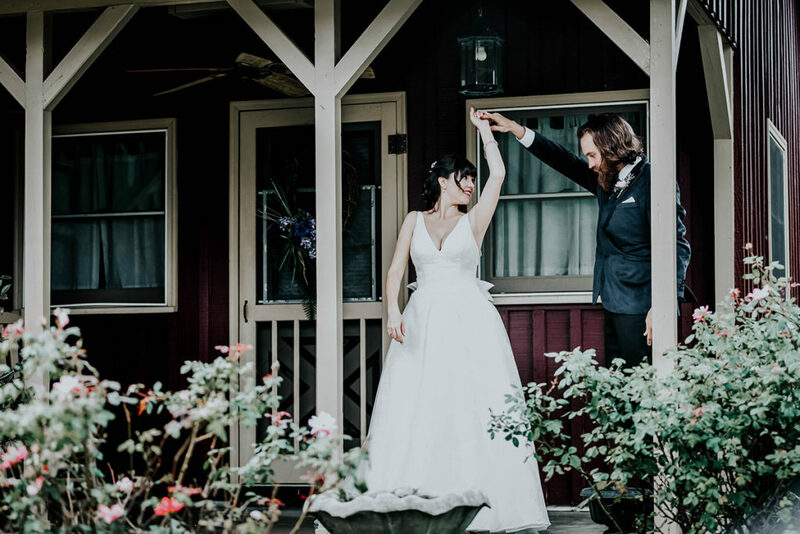 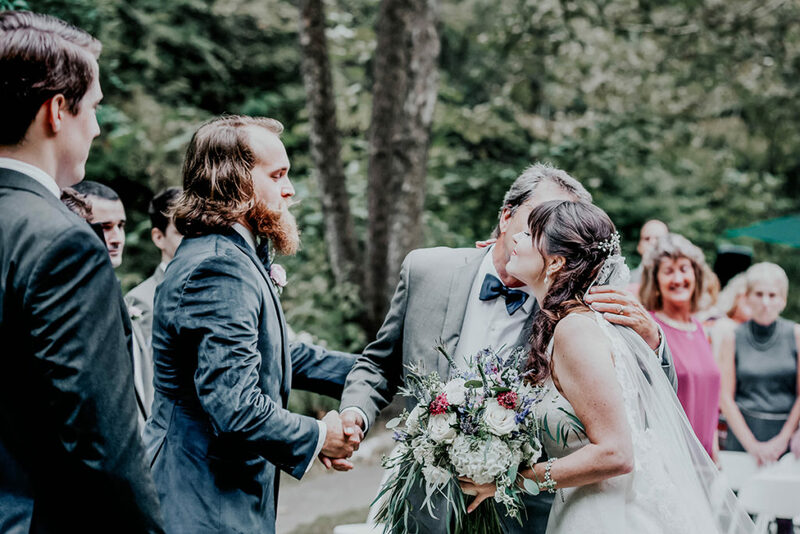 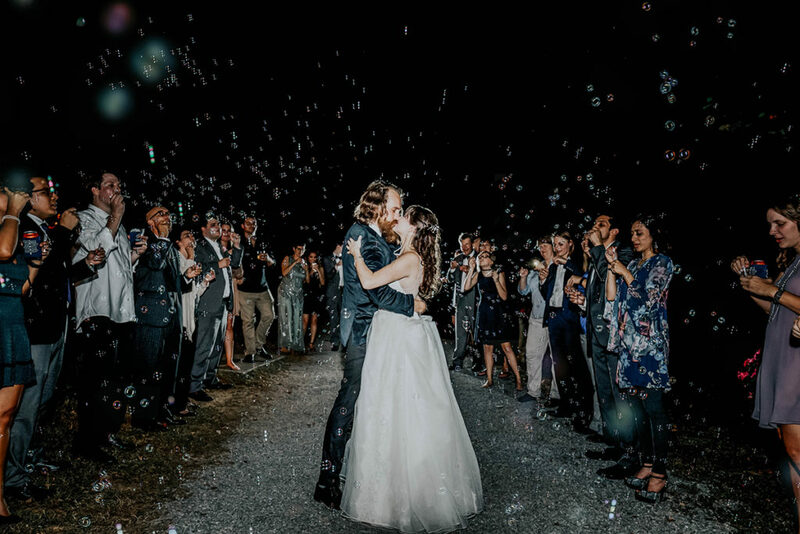 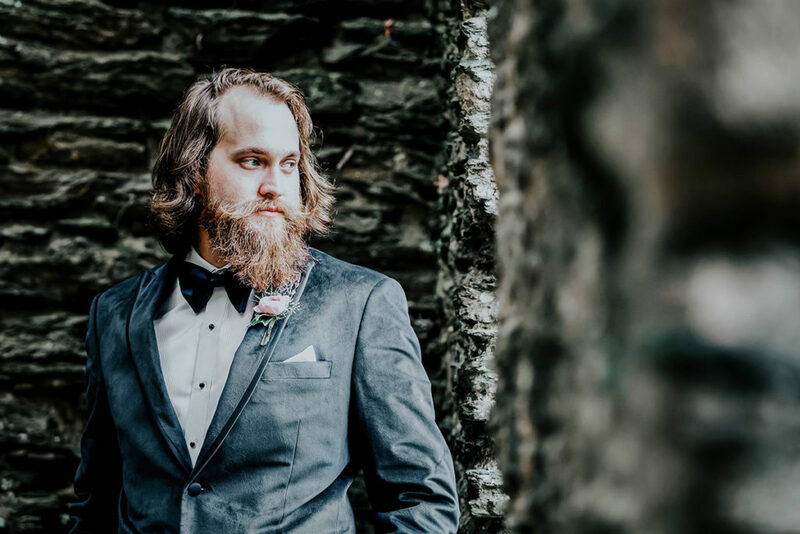 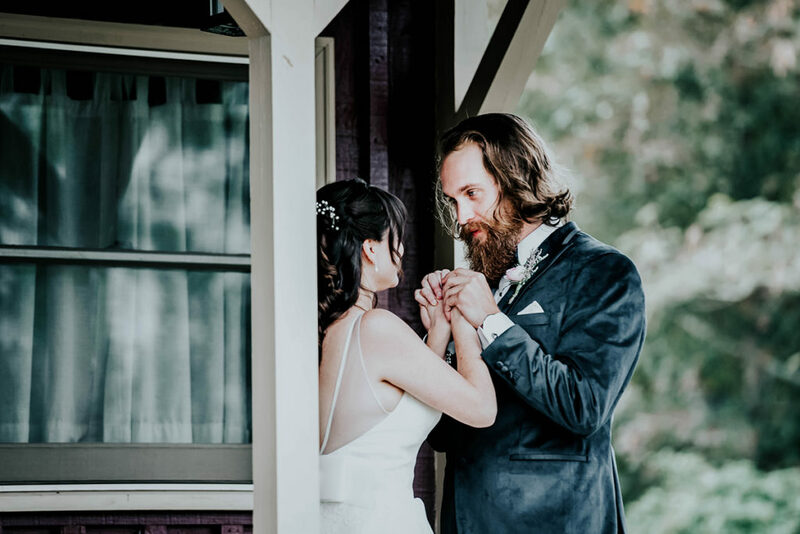 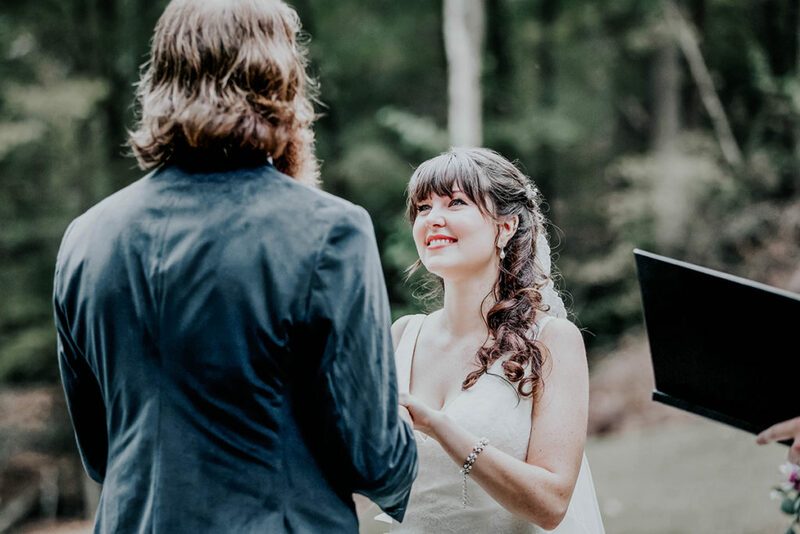 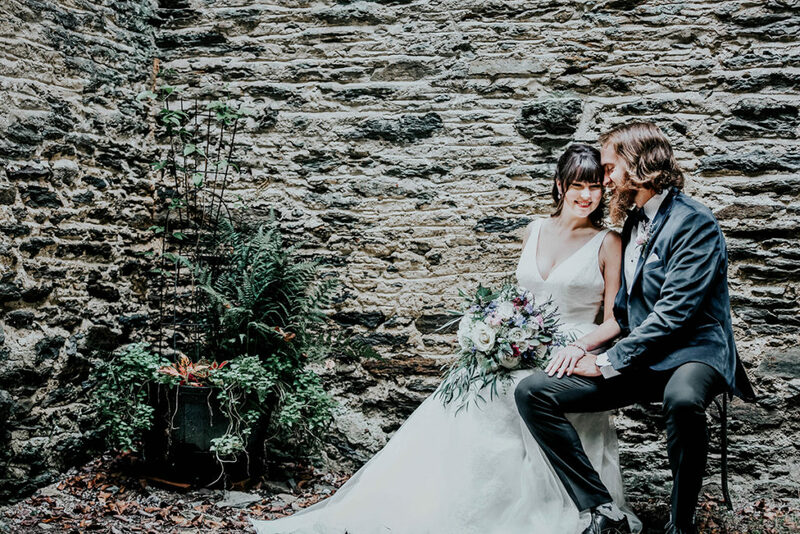 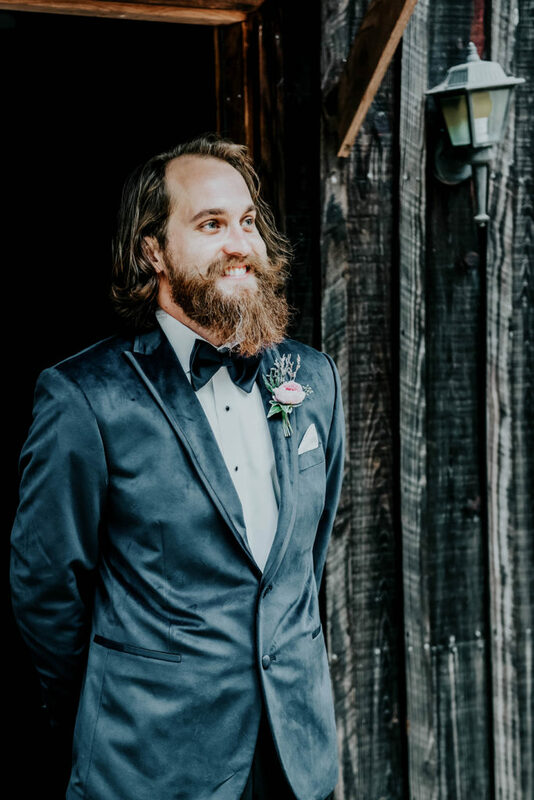 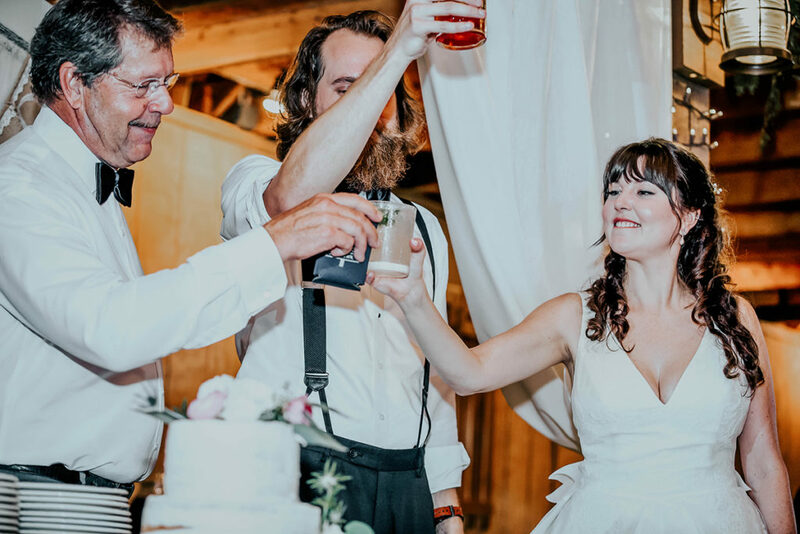 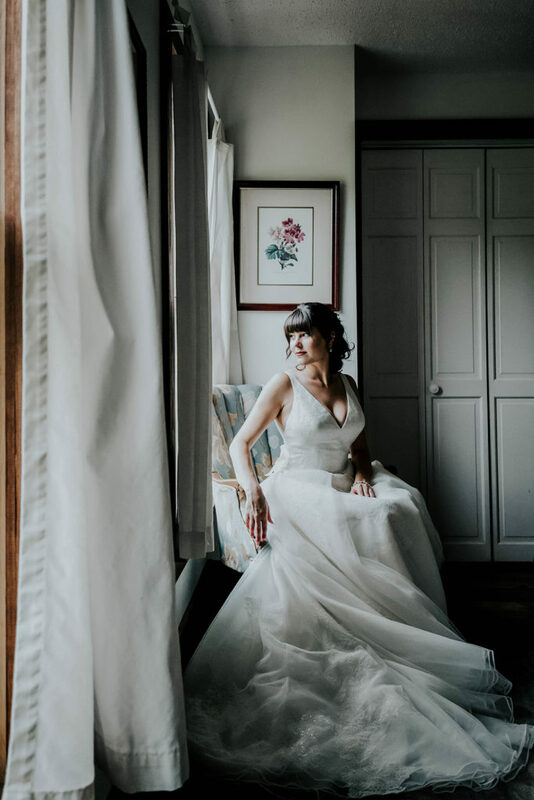 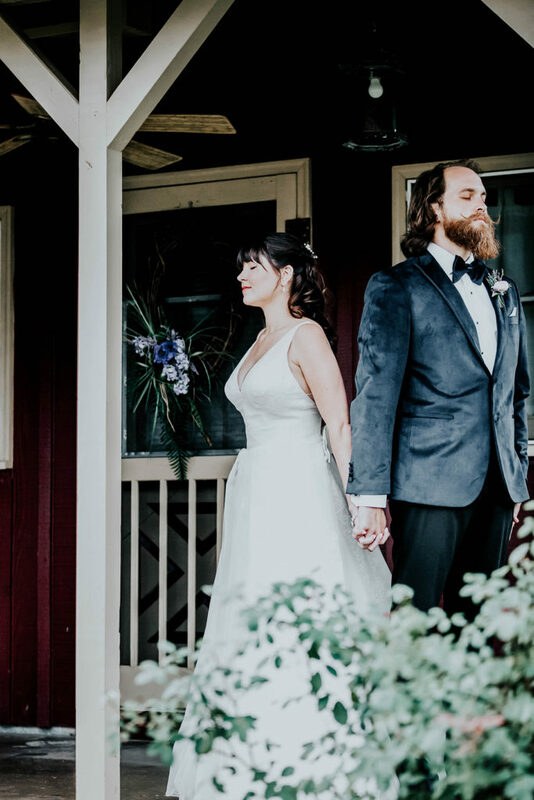 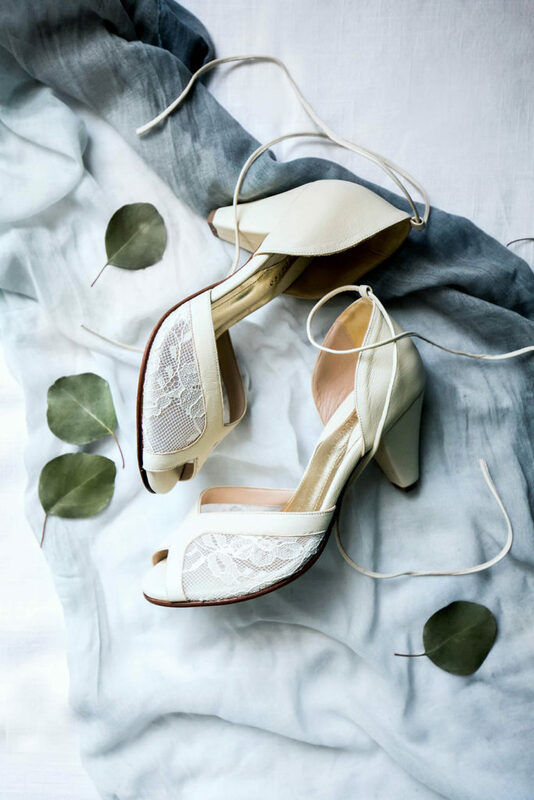 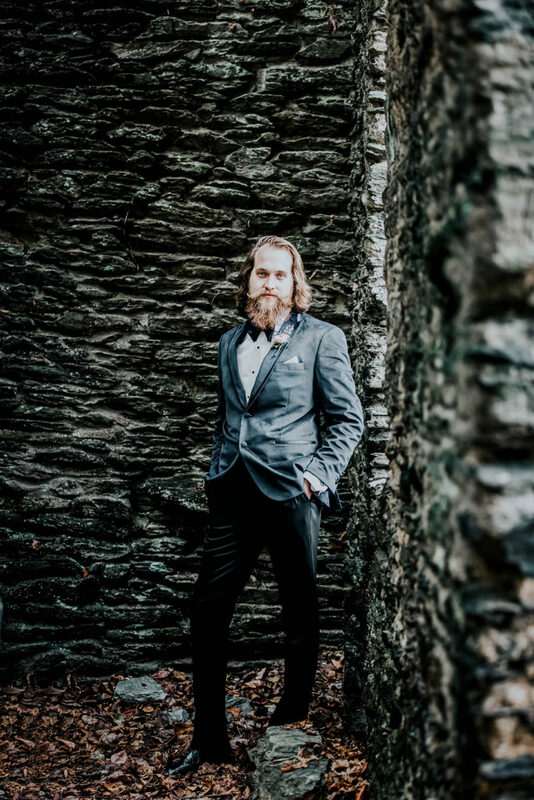 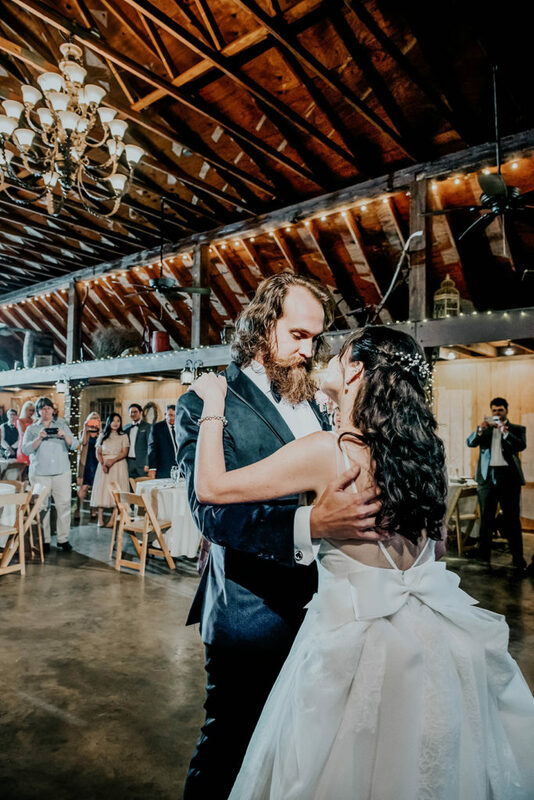 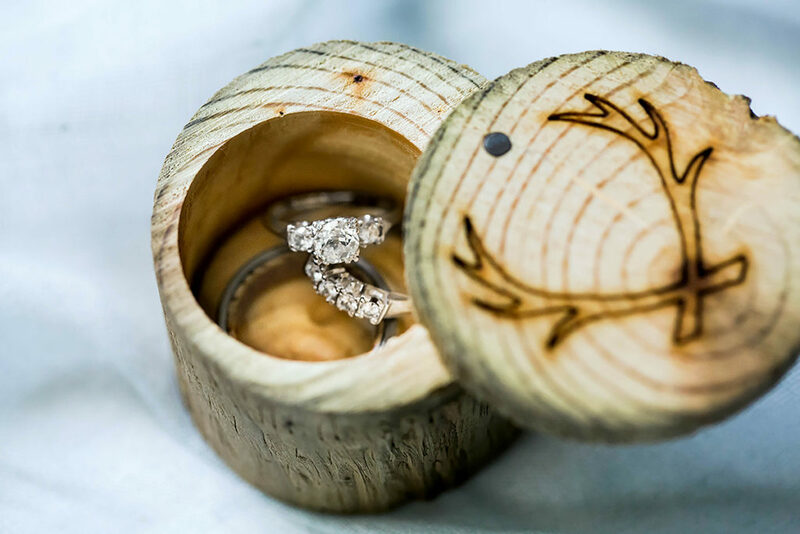 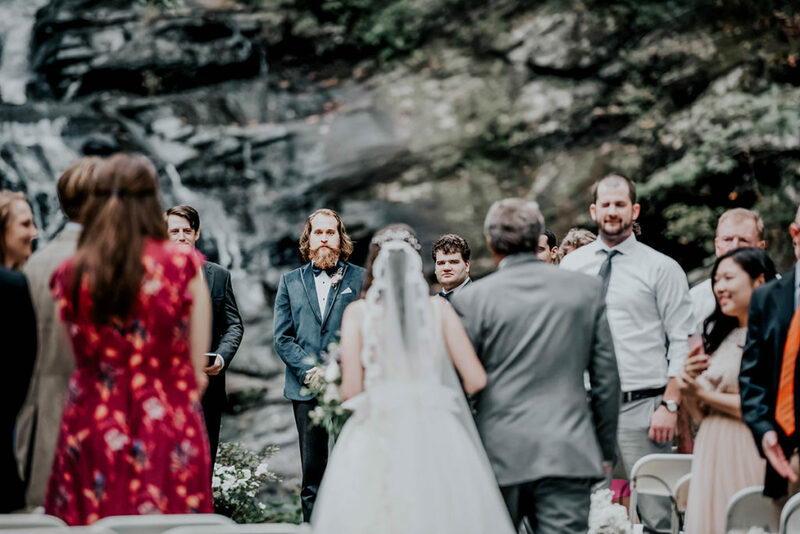 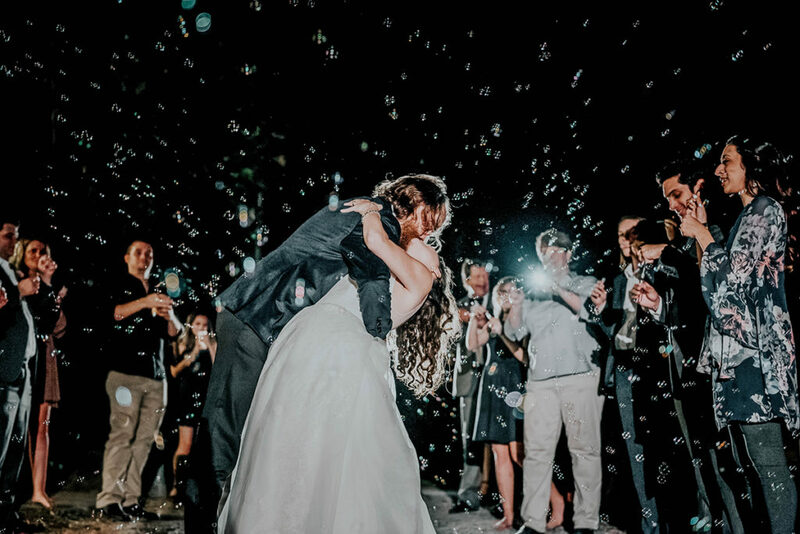 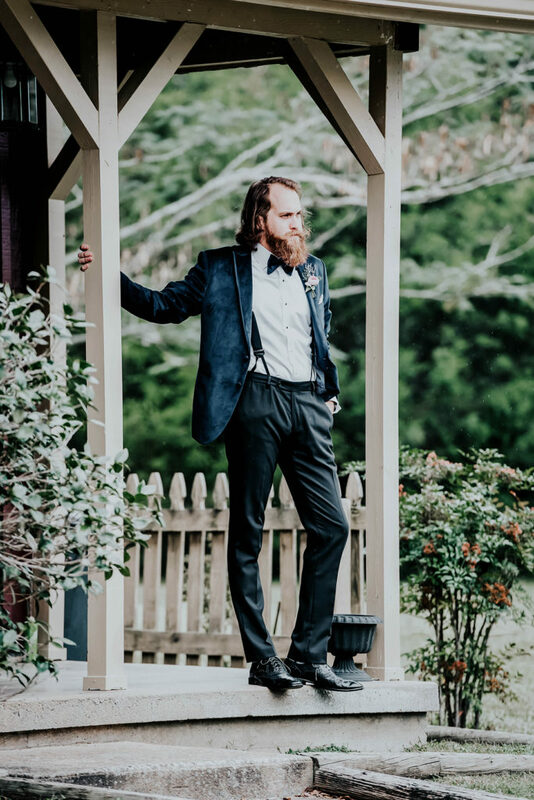 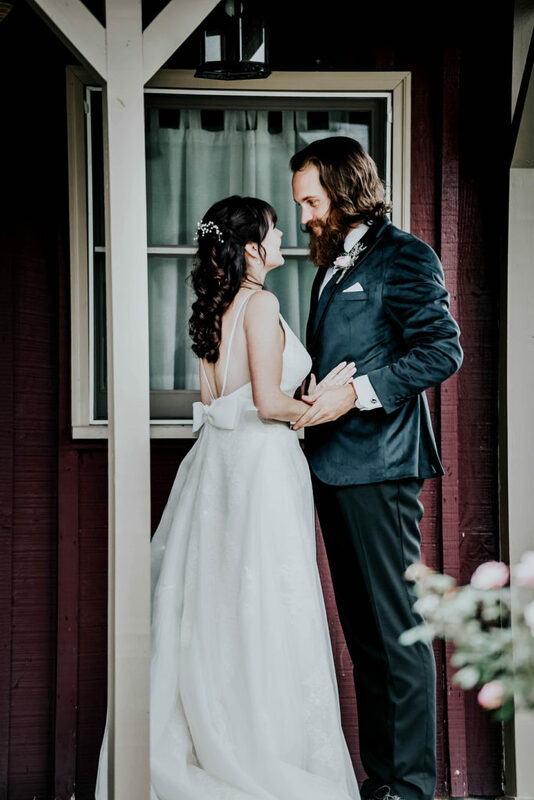 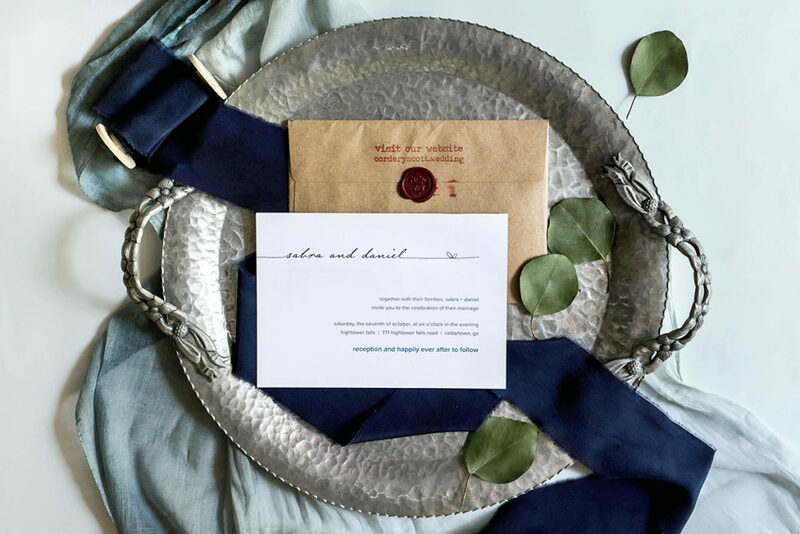 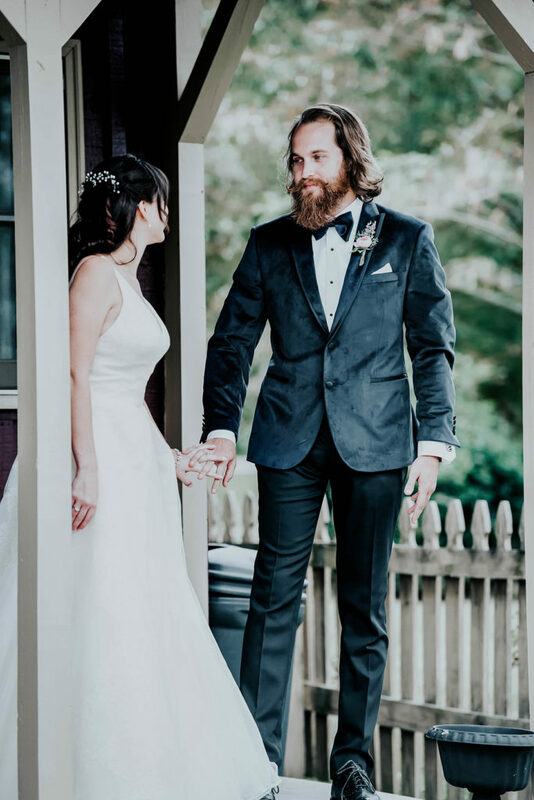 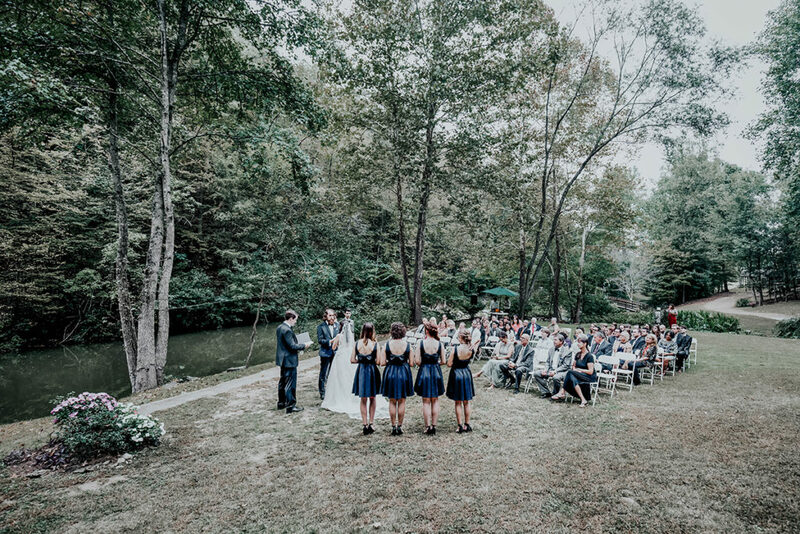 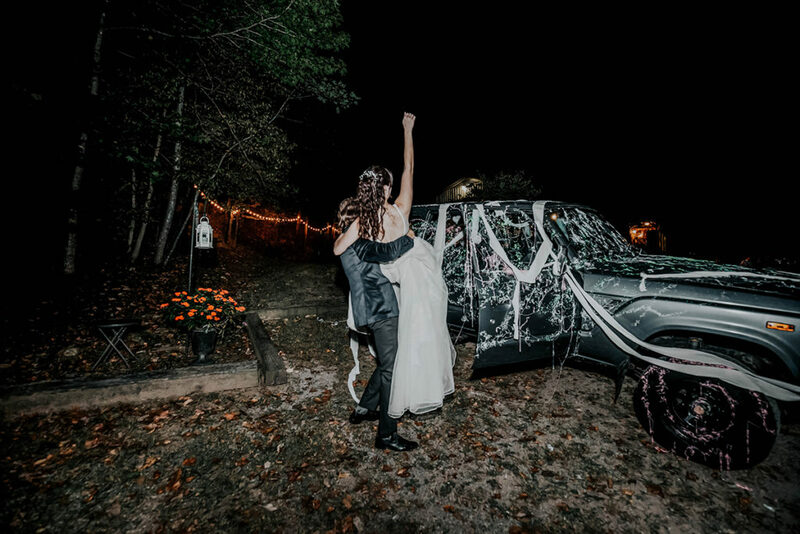 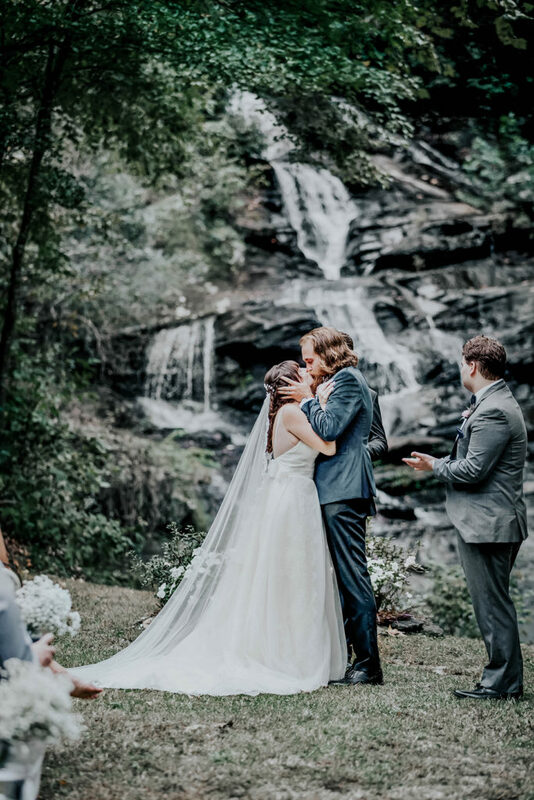 They were shocked by how beautiful it is – from the ruins of the grist mill (perfect since Daniel is an architect), to the waterfall and peaceful river running right next to the ceremony site (they love being in nature!) 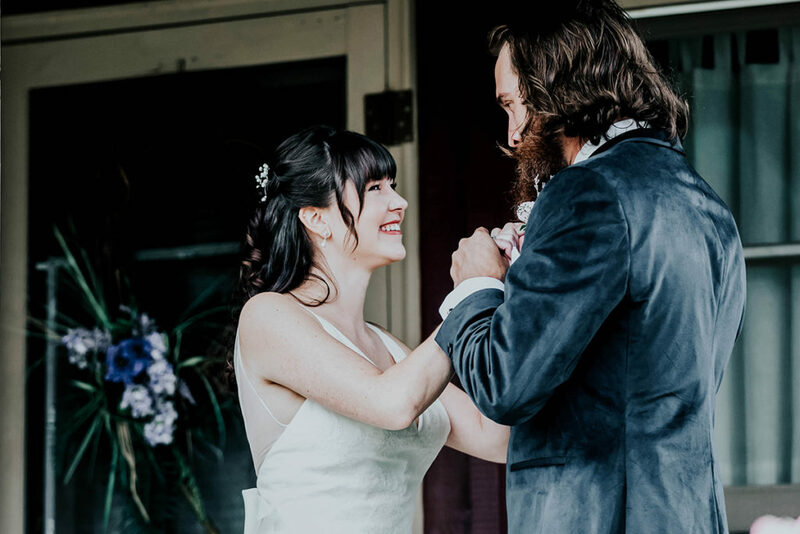 – it seemed like a perfect match.